Happy last week of summer…BOOOOOOO. Okay so let me preface by saying I LOVE LOVE LOVE all things autumn, but I am not ready for the crazy pace we keep when school is back in session. The homework, the projects, the lunches packed solely by moi, the drop offs and pickups at two different times which equals 4 separate runs up to the kids schools’, the permission slips, the conferences, being class helper, chaperoning dances, working the middle school store…you get the picture. Don’t get me wrong, I love all the volunteering that I am fortunate enough to do at the kids’ schools, but the pace is crazy. Plus, I miss my babies when they are at school. Even when they are bickering and driving me nuts, I’d rather they were home. Anyway, I was able to experiment with a few new recipes over the last few weeks, and here they are. In the last few days of summer, we are booked solid. Over the weekend, we had a bonfire on Friday, a pool party/BBQ on Saturday, plus two birthday parties, and Ryan’s first soccer practice on Sunday. Yesterday, we had the Middle School’s “Tiger Days,” which is like an orientation of sorts. 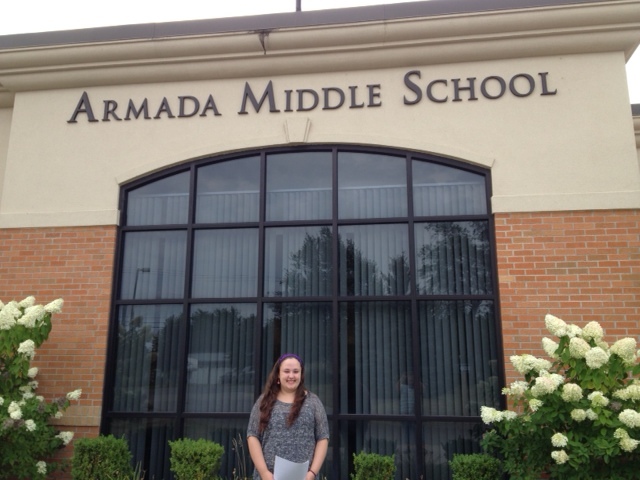 Victoria was able to pick up her schedule, her locker assignment, and get her school id, yearbook, and 8th grade photo taken. She also got an extra supply list that is specific to her Academy classes, so after Tiger Days, we took a trip into Richmond to get said supplies and some “back to school”clothes. On Wednesday, I have to go to Gordon’s Food Service to pick up all the food for the elementary’s “Back to School Open House” that is scheduled for Thursday. It is a day in which all students and families, can come to school and meet their teacher, check out their classroom, and then enjoy an early dinner compliments of the parent group. I have been the chairperson of this event for the last four years, and I am chairing it again this year. It’s always such an exciting day for the kids, as they get to see which friends are in their class, and meet their new teacher. I love all the excitement in the building, and I love running into school friends we haven’t seen since June. My fingers are crossed for Ryan that he has a few of his good friends in his classroom. I know he will be fine and make plenty more, but it’s always nice to see a familiar face that first week. 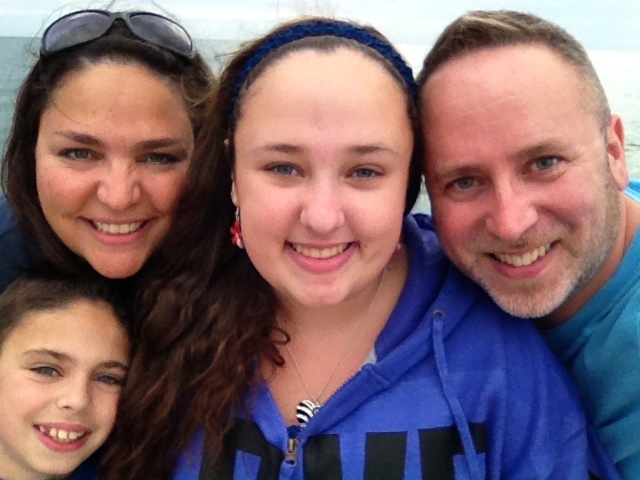 With summer winding down I have been reflecting over the last few weeks, and all we were able to do as a family. We purposefully didn’t plan any vacations this summer as we were planning a trip to New York in the fall. Well, after July 12th (which I referenced in an earlier post…the day our water softener system, sump pump, and car died at the same time), and last week, we are tapped out. On Wednesday of last week, we had to replace the windshield of the newer Xterra, and have the clothes dryer fixed! Man, this was totally the summer of home/car repairs! Currently, the new Xterra needs to be serviced AGAIN as the brakes have begun to squeak, and the passenger window gets stuck in the down position. It’s not crazy given that the vehicle is 6 years old, but come on. I have said it before and I will say it again. I love the freedom that owning a vehicle provides, but if we had a really great public transportation system here in Michigan, I think I’d park the car and ride. What a pain it is to keep a vehicle up and running. This particular vehicle is going to be paid off in a matter of weeks, so we are desperately attempting to keep both vehicles running until we can free up some monthly monies to finance a newer vehicle. Our other car is 14 years old, so we are literally driving on borrowed time! UGH…the pleasures of being a responsible adult never cease!! I really am going to invent a font just for sarcasm!! 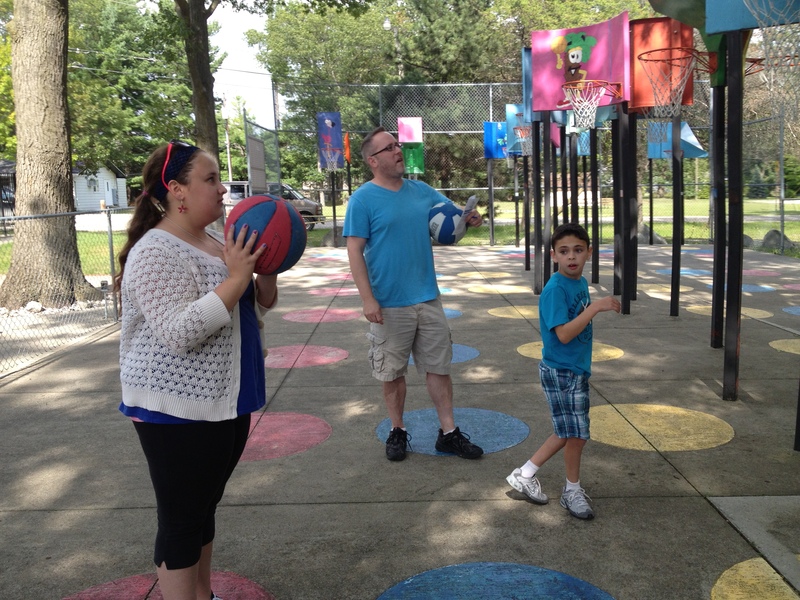 Bankshot basketball at the Family Fun Center in Caseville. 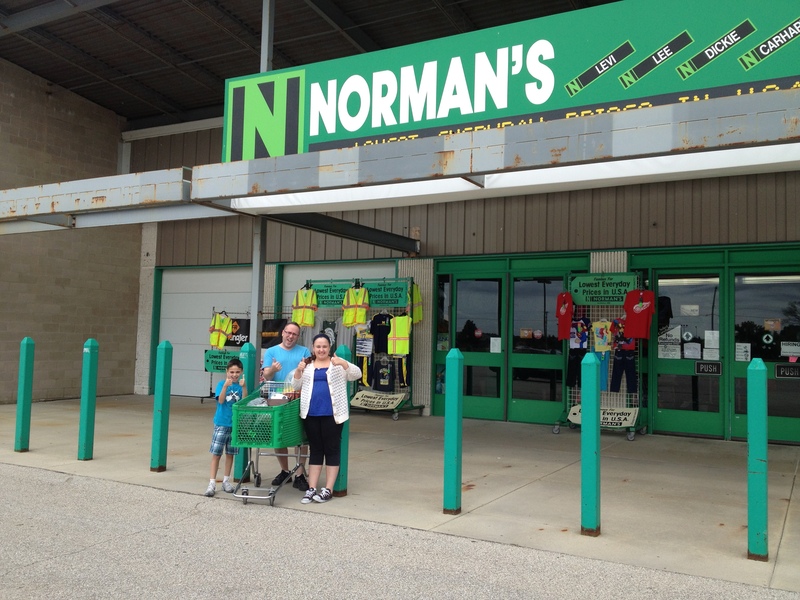 In addition to Norman’s, we took the kids to all the places we used to visit in Caseville and Port Austin. I think my favorite part was… the whole day. 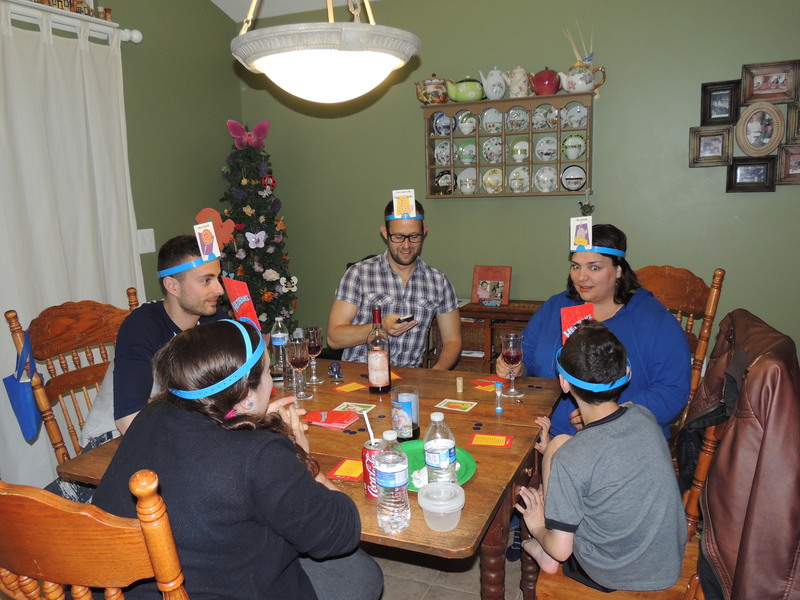 At one point I looked at Dan whilst we were playing “Bank Shot Basketball” with our children, and had total flashbacks of us being there before we were even old enough to vote! It was crazy. We also took the kids by both of the homes where their Great-Grandparents lived, the used bookstore in town, the beach where we got engaged, and the pier where Dan carved our initials into the guardrail. It was unreal to revisit these places with the kids in tow. We ended the day with a stroll on the Port Austin Pier to watch the sunset, and look at the lighthouse. It was a great day. We had compiled a huge agenda for the day, and only got through about 45% of it. We definitely want to take the kids back, and show them all the other special places that time didn’t allow us to visit this trip. 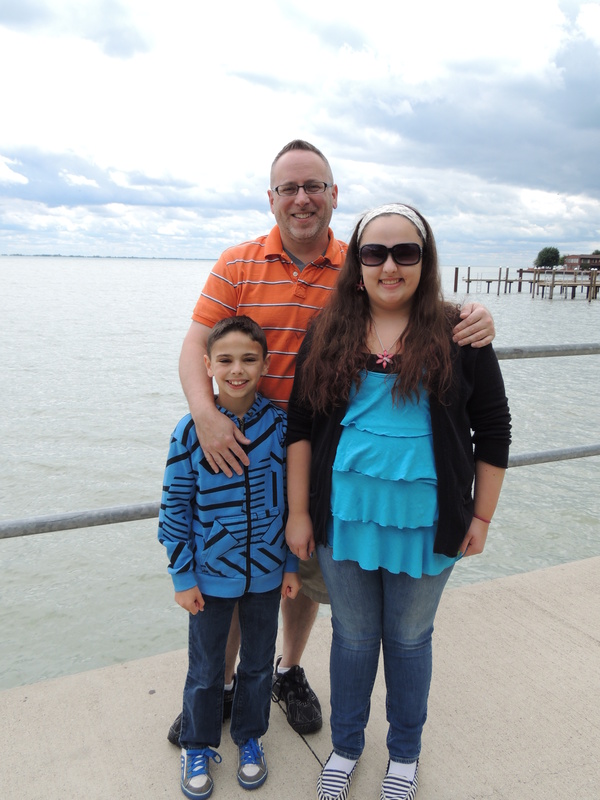 Dan and the kids on top of Fort Gratiot Lighthouse. The second day trip was much closer to home. We went from Marine City to Fort Gratiot and stopped everywhere we wanted along the way. Before Dan and I had children (a time we jokingly refer to as B.C. 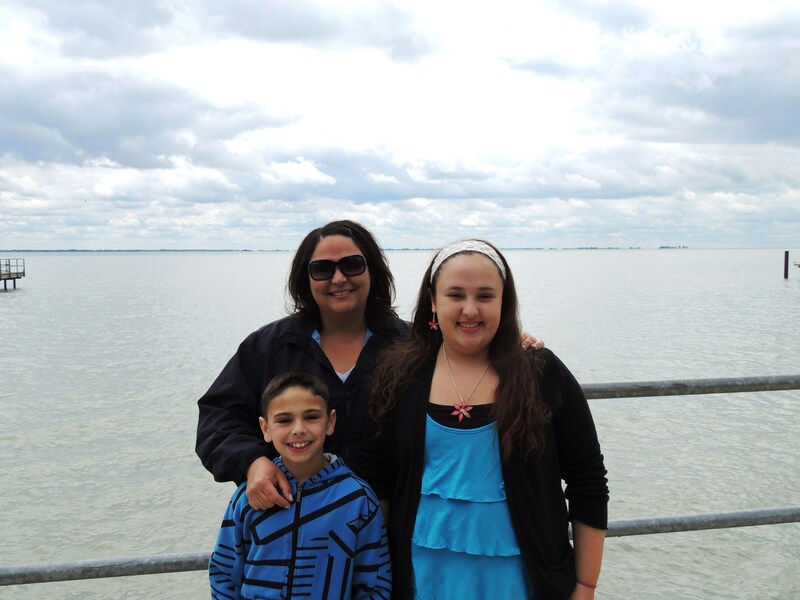 before children) we used to take all of our vacations in Michigan to visit the Great Lakes lighthouses and waterfalls. 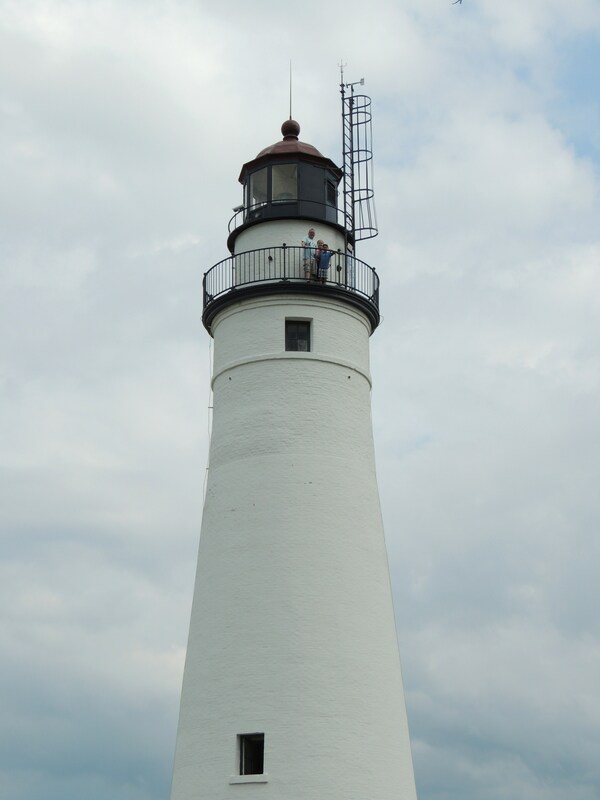 Fun fact…there are 116 lighthouses in the state of Michigan, and 199 waterfalls all but 1 being in the upper peninsula…true story. Anyway, Dan and I had been to the lighthouses in this area before, but they were all “B.C.”, so we decided to take the kids to see them. We had a great day, and made some fun memories for sure. The next recipe I tried was homemade magic shell. As a kid I LOVED “Magic Shell” on ice cream. As an adult, I don’t really eat ice cream too much…maybe a couple of times a year. Anyway, I saw this recipe on “Pinterest” and decided to try it. Actually, this recipe was part of a recipe that I featured last week. The strawberry popsicles I wrote about should have been dipped in Magic Shell, but because I added Nutella to the mix, I decided to leave it out. We don’t usually have ice cream in the house (we aren’t huge ice cream fans), but I had some left over from Victoria’s birthday party, so I decided to make the Magic Shell. The result?? YUM! The kids had never had Magic Shell before, and they loved it. It’s probably been ten years or so since I have eaten it, but this is just like I remember. 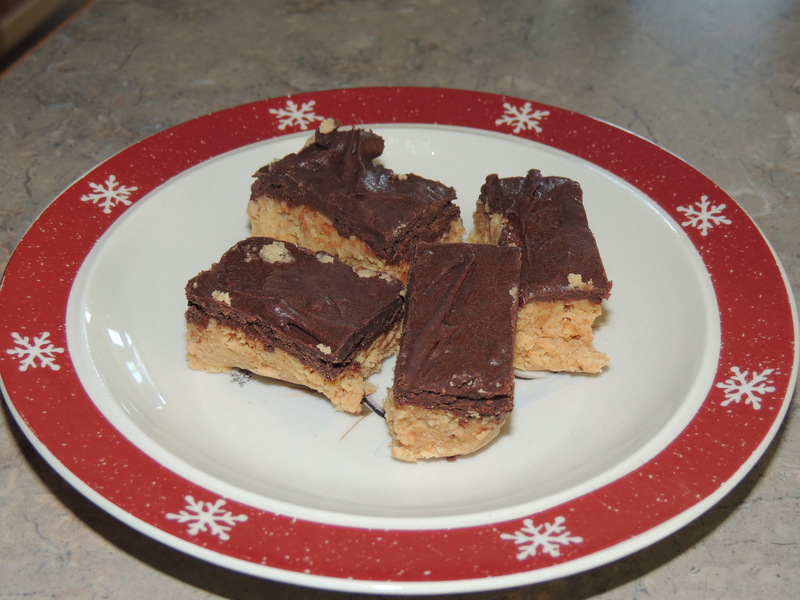 It is ridiculously simple to make, and I always have the ingredients necessary, so I will definitely make it again. Here is the link to the recipe that I used: http://chocolateandcarrots.com/2012/07/homemade-magic-shell Next time I want to try it on strawberries or pineapple. The trick is to put the room temperature Magic Shell on something really cold. So as long at the fruit has been refrigerated, it should work. 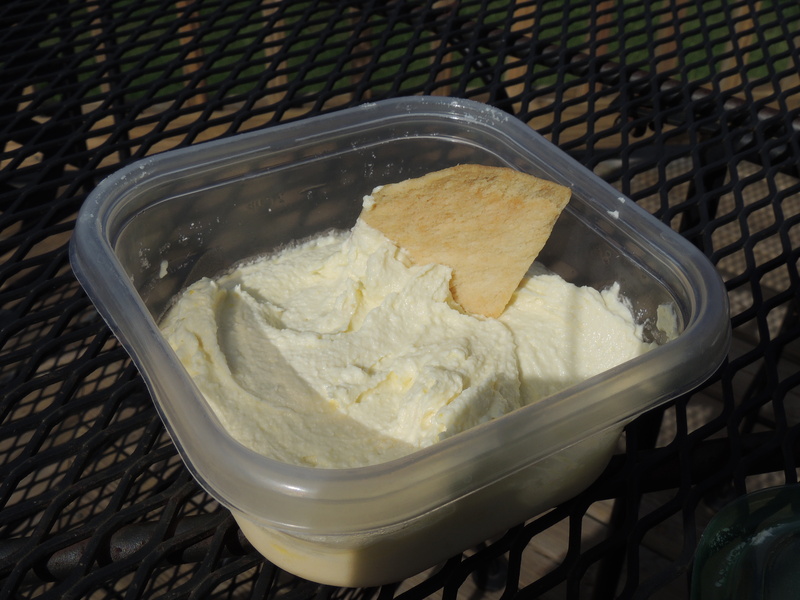 Also, if your Magic Shell solidifies at room temp, just microwave it before drizzling. Mine did solidify after a few days, but I stored it in a glass container so microwaving it was no big deal. For this very reason, I would recommend storing the Magic Shell in a glass container…I used a glass cruet. 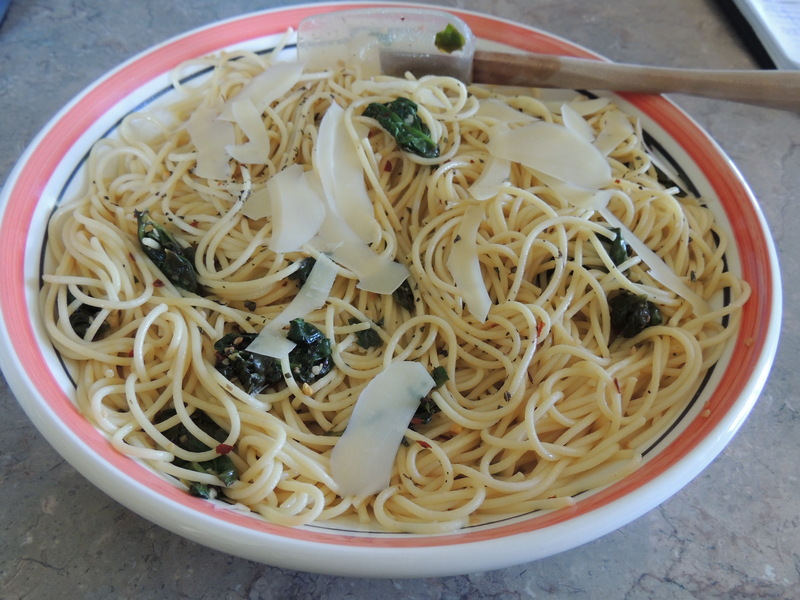 The next recipe I made was spaghetti with spinach, garlic, and lemon. Guess where I came across this recipe?? Yep you guessed it…Pinterest. 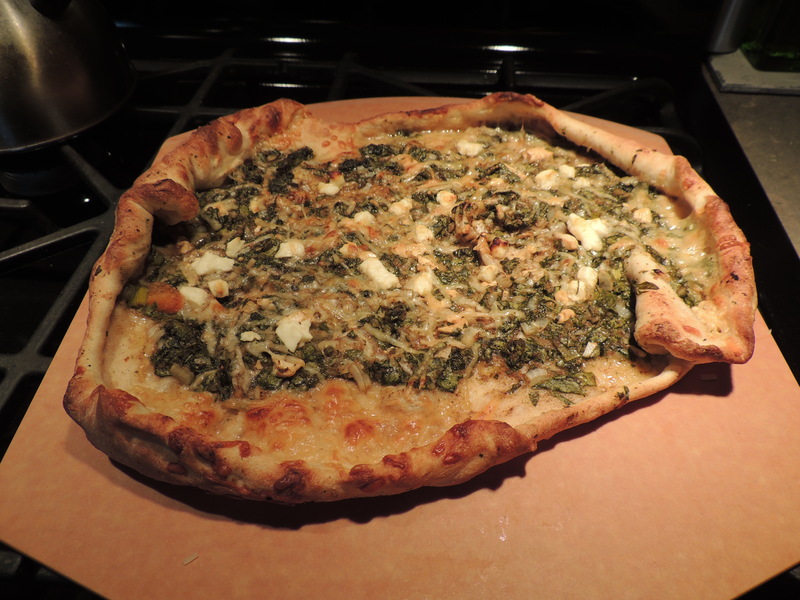 Anyway, I had made some spinach pies, and had some fresh spinach left, so I searched my recipe boards. As soon as I saw this pin, I knew what I was making for dinner. Just reading the title of the recipe made my mouth water. I mean come on…spaghetti…spinach…garlic…lemon…YES PLEASE! I usually have a few lemons on hand, and I always always have garlic and pasta so I was good to go. The resulting dish was really good. We gave it an “A.” I know it goes without saying, but my Ryan did not try this dish. Yes pasta is his absolute favorite food, but he likes it plain. Actually, he likes pasta tossed with a little butter, and then mounded with freshly grated parmigiano reggiano. So plain isn’t really accurate. He just likes it sans sauce. 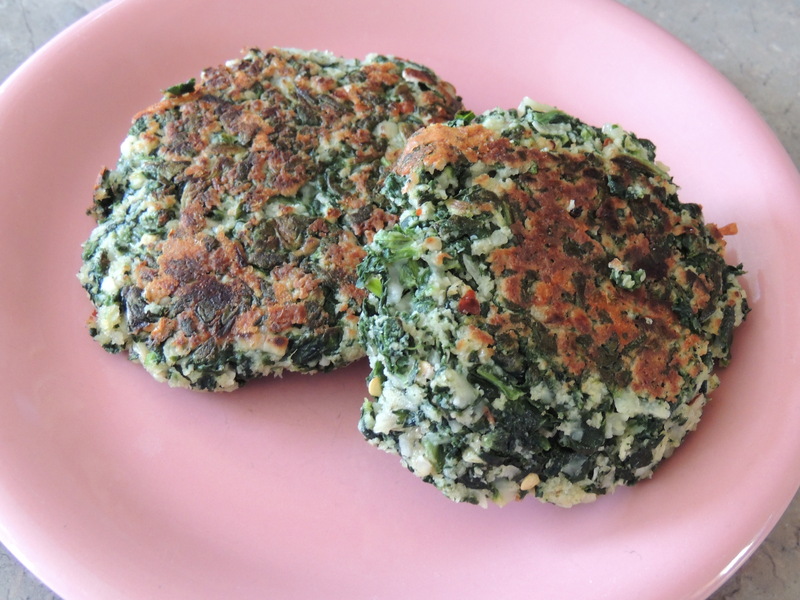 Anyway the rest of us loved it, and it is a great way to use up fresh spinach, or perhaps spinach that is already getting wilty. 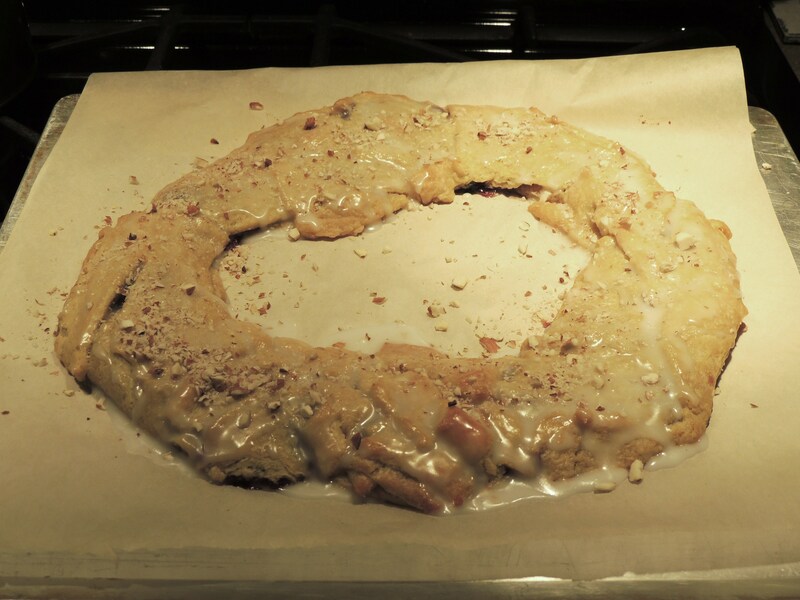 Here is the link to the recipe that I used: https://docs.google.com/document/d/1AfSQd8p7GqoFdJym80b9McGWXgadr41R4cRqJGKBHpQ/edit?authkey=CMT6i9AH&pli=1 I did make a few substitutions to my pasta dish. First, I didn’t have a full ten ounces of spinach left, so I just used what I had. Also, I added some dried basil and red pepper flakes to the dish, to spice it up a little bit. 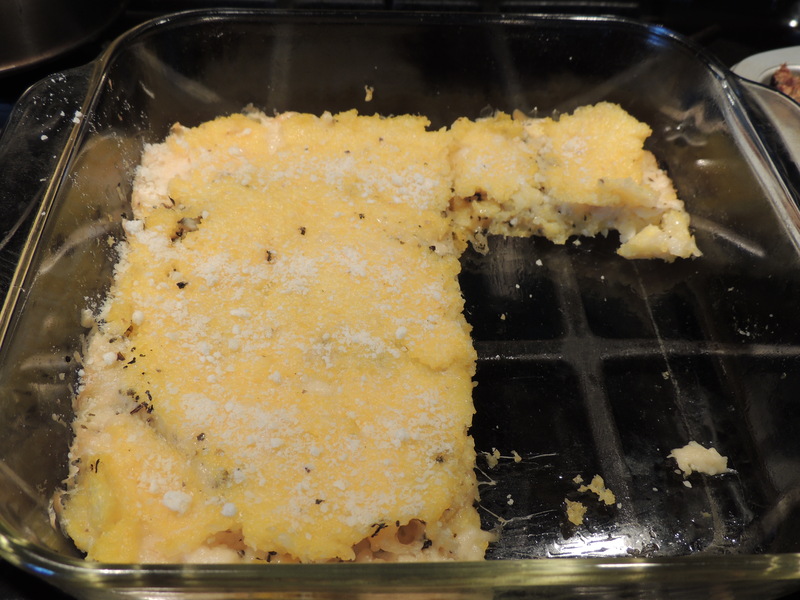 Lastly, I shaved some parm on top for extra flavor…YUM. 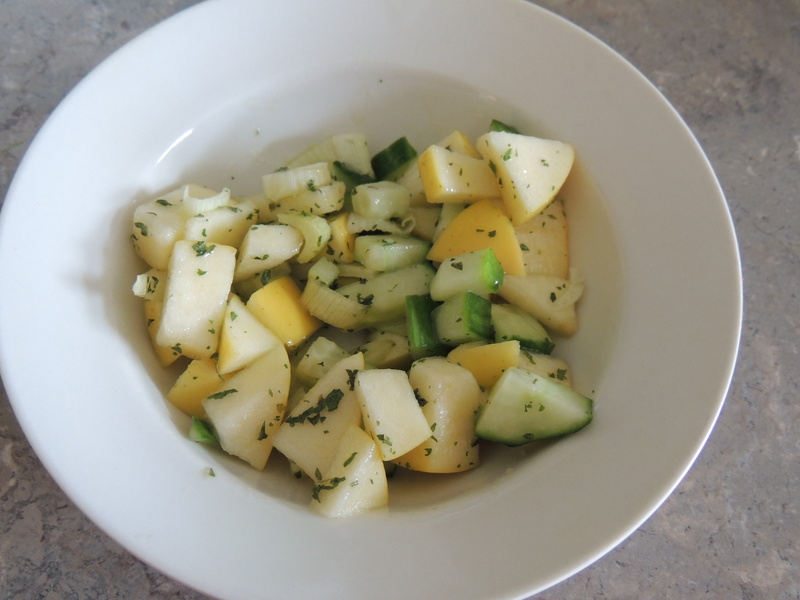 The next recipe was for cucumber apple salad with fennel. I love love love to watch the Food Network and the Cooking Channel. I usually get inspired to try something new, and inevitably I go online to copy a few recipes. Well over the last few years, I’ve see a lot of recipes that use fresh fennel. Whilst at Whole Foods, on a whim I bought a bulb of fresh fennel. I have never cooked with fennel before so once I got home, I was like…”okay now what?” Well I perused all my recipes that include fennel, and just one bulb wasn’t going to do it. Most of my recipes required more than 1 bulb of fennel, or other ingredients that I didn’t have. So I logged into my Pinterest account and found this recipe. I obviously had the fennel bulb, and I always have apples and cucumbers. I’m also growing Italian parsley in my herb garden, so I was all set. After a quick trip out to my garden, I returned to the kitchen and got to work. Even though, I’d never worked with fennel before, I knew how to cut it…thank you Food Network. See Dan… all those DVR’d shows were worth it!! ☺ This recipe earned me an “A.” Dan and I really liked it. Here is the link to the recipe that I used:http://nowthingsarecookin.blogspot.com/2012/07/cucumber-apple-salad-with-fennel-recipe.html The only substitution I made was the variety of the apple. I didn’t have any granny smith apples, so I used a yellow delicious. 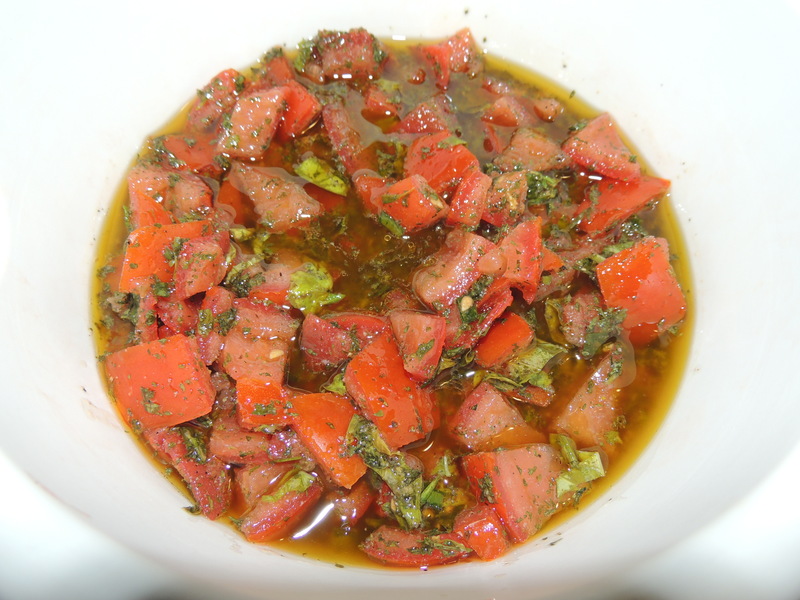 The next recipe I experimented with was “killer marinated tomatoes.” I found this recipe on Pinterest too. Dan and I love tomatoes, and in the summertime we eat a lot of them. I usually make panzanella salad, but I wanted to change it up a bit, so I used the tomatoes this way instead. This is seriously one of the best recipes I have found on Pinterest to date. The name is totally fitting…they are killer. This recipe got an “A++++++.” I used these tomatoes on everything. We ate them alone of course, but we also made panini, bruschetta, and scooped them up with crostini. 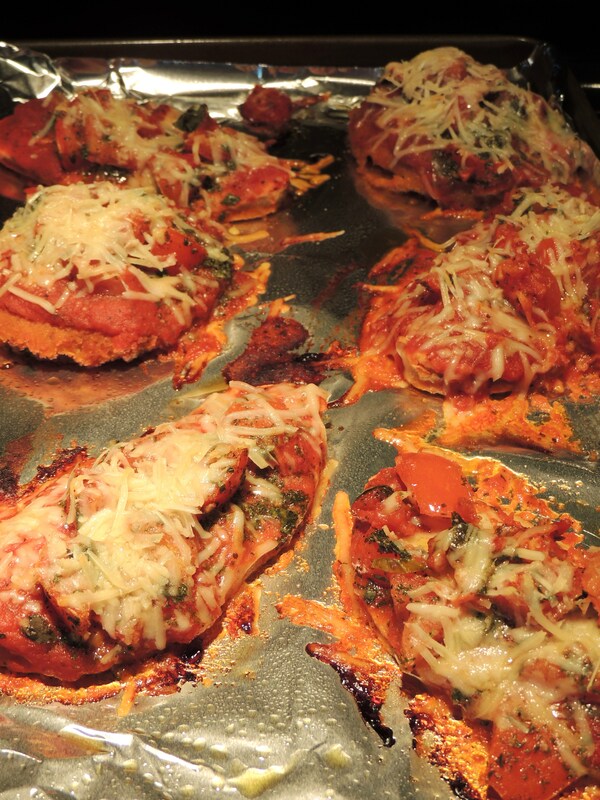 The last dish I made with them was a veggie chick’n parmesan. I will totally make these again. FYI…these actually got better the longer they sat and marinated. 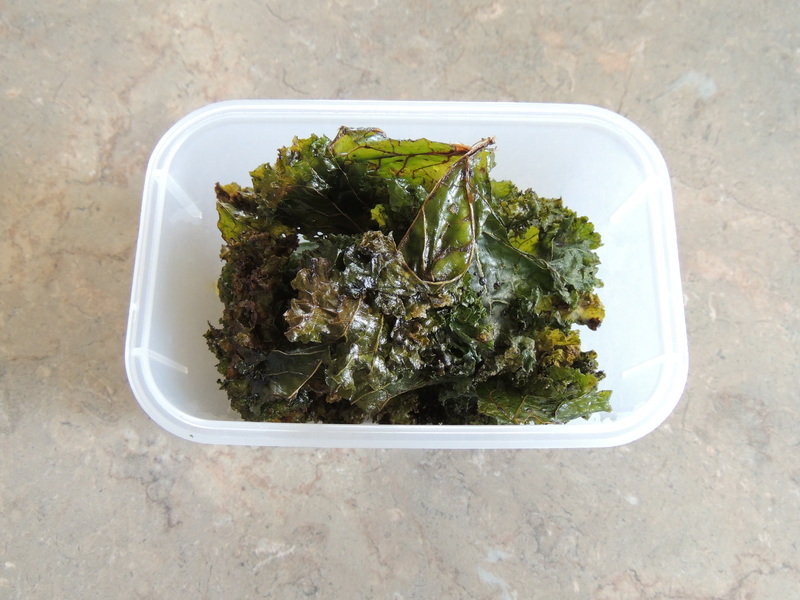 Here is the link to the recipe that I used: http://tastykitchen.com/recipes/appetizers-and-snacks/killer-marinated-tomatoes/ The only substitution I made was the oil. I ditched the canola oil, and used extra virgin olive oil instead. 1. 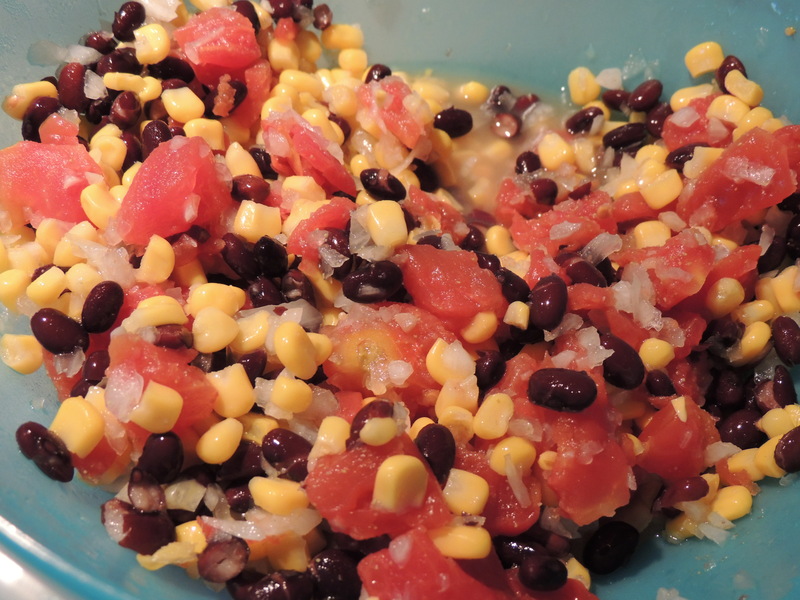 Combine the beans, corn, tomatoes, and onions in a bowl. 2. Mix together and then add lime juice and cumin. 3. Refrigerate any leftovers. With August officially underway, there are only a few weeks of “freedom” left. Once the kids go back to school, our lives change dramatically. There aren’t as many late nights, and we have a much tighter schedule to keep. I am wondering how it will be for me this fall. This is the first time since Victoria was in the second grade that I don’t have a Girl Scout troop to manage. Also, it will be the first school year in four years that I am not a board member for the parent group at the elementary. I will still attend the meetings, and volunteer as much as I can, but I no longer feel that huge sense of responsibility that comes with being an officer. It’s kind of nice actually. Now I can more evenly split my time between both the parent groups that I belong to (the Middle School has one too), and the community advisory boards that I participate in. Additionally, I have picked up a lot more responsibility at the office, and it is taking up more of my time. So all in all the change in pace comes at a perfect time. 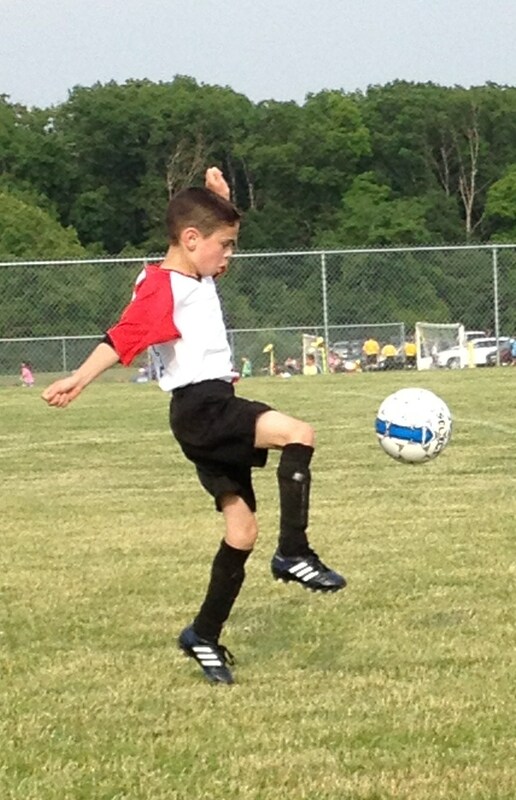 Additionally, Ryan is playing soccer again and there are two games per week. As I type this, Dan is making phone calls to recruit boys to try out for a new soccer opportunity. For the first time in our region, we are forming an “AYSO Extra Program” for U12 boys. It’s AYSO’s version of a travel league, and of course Ryan wants to try out. If he makes it, there will be an extra game scheduled per week, and an uncertain number of weekly scheduled practices. Guess what we will be doing every Saturday and Sunday??? Add to that the soccer tournaments that our team wants to attend, and we are booked every weekend until November. GULP Further, Dan is still coaching, and Victoria is still assisting with Ryan’s team. In addition to coaching, Dan is the “coach administrator” for the region, so starting next weekend, he is swamped with admin stuff. 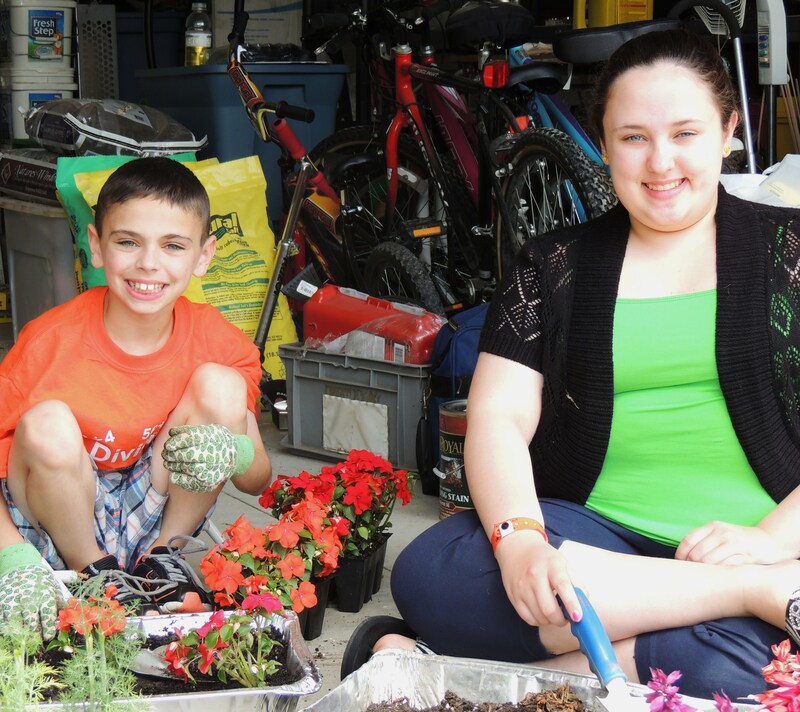 It’s almost like Dan and I have swapped places with regards to our volunteerism. Anyway, I am looking forward to a slower pace this fall…at least for me. Whoa, maybe then I can actually have some time to myself…WHAT A CONCEPT! Happy July!!!! Holy cow…is it hot enough for ya??? UGH…here in Michigan it is ungodly hot and humid. So hot and humid that I hate going outside…unless of course I am going straight to our pool to camp out for the rest of the day. Anyway, I have done a lot of cooking/baking in the last few air conditioned weeks, so let’s get right to it. The third recipe was also inspired by Pinterest, but I didn’t use the recipe I found there. I saw a recipe for “Slyders,” on Pinterest and it made me think of “White Castle.” I don’t recall eating at “White Castle” since I was in college, but I do remember LOVING their burgers. I became a vegetarian 16 years ago, so clearly I haven’t had one since then. As soon as I saw this recipe on Pinterest, I did a “Google” search for “White Castle” copy cat recipes, and came across a ton! After reading through most of them, I settled on this one as it sounded pretty simple, and I had all the ingredients…all the ingredients except for “Velveeta.” I don’t use “Velveeta” as it is a super processed food, and I do try to keep the recipes I serve my family as healthy as I can. That said, I am trying to replicate “White Castle” burgers for goodness sake, which are not exactly healthy in the first place. So in the spirit of fun and adventure, I threw my principles out the window and bought a hunk of “Velveeta.” I mean c’mon, sometimes you just need to live a little right??? Right. Anyway, I bought the “Velveeta” and followed the recipe. The result?? OMG these are AMAZING!!! So very yummy!!! Dan and Victoria LOVED them too. Ryan, of course, wouldn’t even try them so he didn’t endorse the recipe, but the rest of us LOVED them. 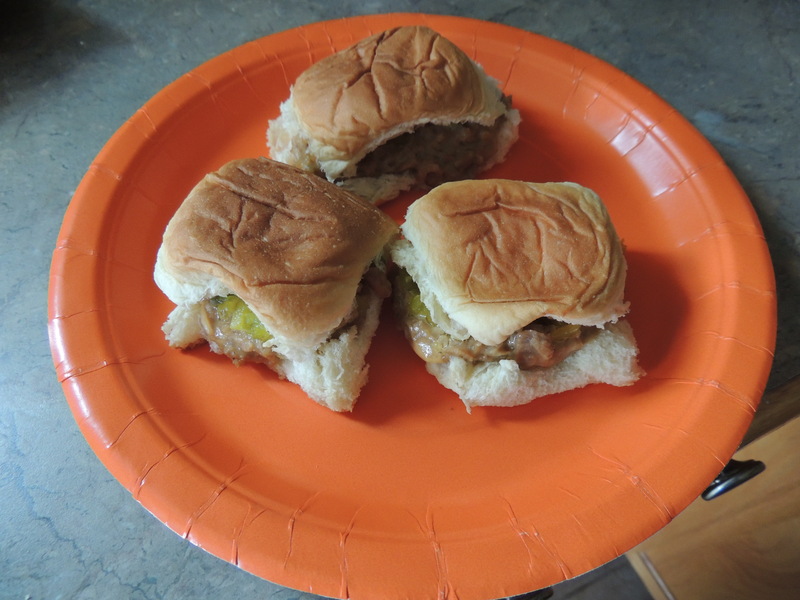 Here is the link to the recipe I used:http://www.food.com/recipe/they-could-be-sliders-if-eaten-with-eyes-closed-white-castle-54259?oc=linkback%22%3Ehttp://www.food.com/recipe/they-could-be-sliders-if-eaten-with-eyes-closed-white-castle-54259?oc=linkback%3C/a%3E In addition to using veggie friendly beef substitute, I made one other substitution. 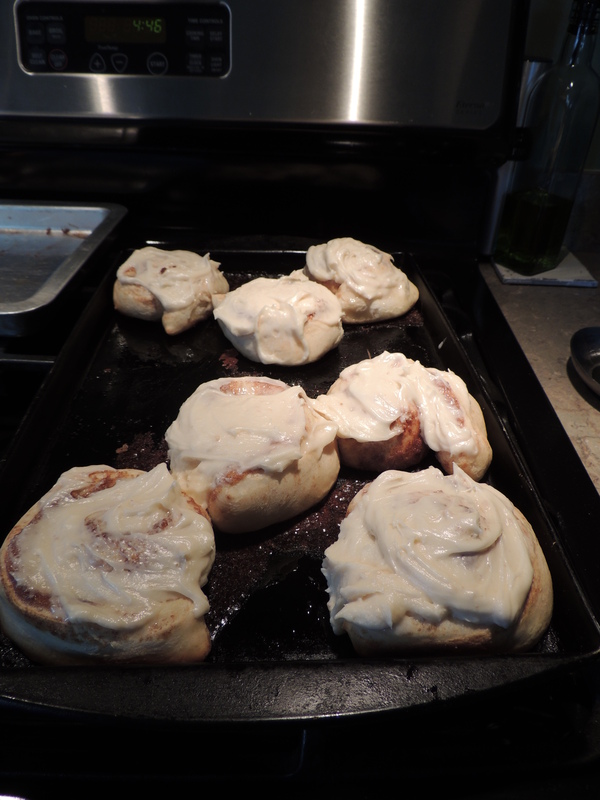 I used “King’s Hawaiian Rolls” for the buns…YUM! Stumbling upon the recipe for the “White Castle” burgers was pretty ironic, in that Dan and I had just rented “Harold and Kumar Go to White Castle.” Dan had caught a bit of it when we got a free trial of HBO through our satellite provider, and was intrigued enough to want to see the whole movie. I never had the desire to see it, but watched it with him anyway. It was entertaining. Except for the part of the movie that skipped! Damn! BUT it worked out because as I returned the movie, I told the clerk that it skipped, and was rewarded with a free rental AND an in-store credit for another free rental. BONUS!! So, of course, I picked up “Harold and Kumar Escape from Guantanamo Bay.” In my opinion, this sequel was funnier than the first movie…but it skipped too!!! Double Damn!! So guess what? When I returned the movie, I again got another free rental to compensate. What did we get this time? Hall Pass. Not sure we liked it. I mean parts of it were pretty funny, but overall it felt contrived. Almost like in the attempt to get the “OMG shock and awe laugh”, the Farrelly brothers went too far, and missed the normal, regular ol humor. Anyway, all three of the movies were free, so it’s all good. In my opinion, the best part of all 3 movies was eating the copycat burgers whilst we screened them together. When I say “screened movies together” I obviously do not mean the kids!! YIKES…holy inappropriateness!!! 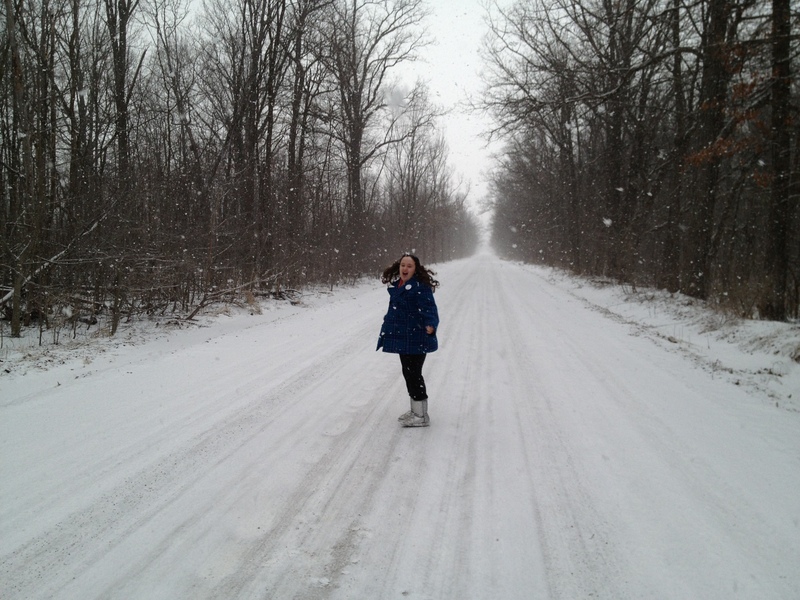 Victoria dancing in the snow! We no longer have “Snow White” or “Barbie” movie marathons. They have been replaced by “Harry Potter” and “Pirates of the Caribbean” marathons. She no longer gets picture books from the library. Now she puts books like “Divergent” on hold at the circulation desk. She isn’t afraid of monsters under the bed anymore. Now she is afraid of “Davy Jones” in the shower. In fact, she locks the bathroom door now, and I am no longer welcome to sit on the side of the tub and chat whilst she bathes. She no longer listens to “Strawberry Shortcake” on her portable cd player. Now she listens to “Ariana Grande” and “Macklemore” on her iPhone whilst polishing her nails for the 100th time in 2 days. Goodbye Playskool phone…hello iPhone. 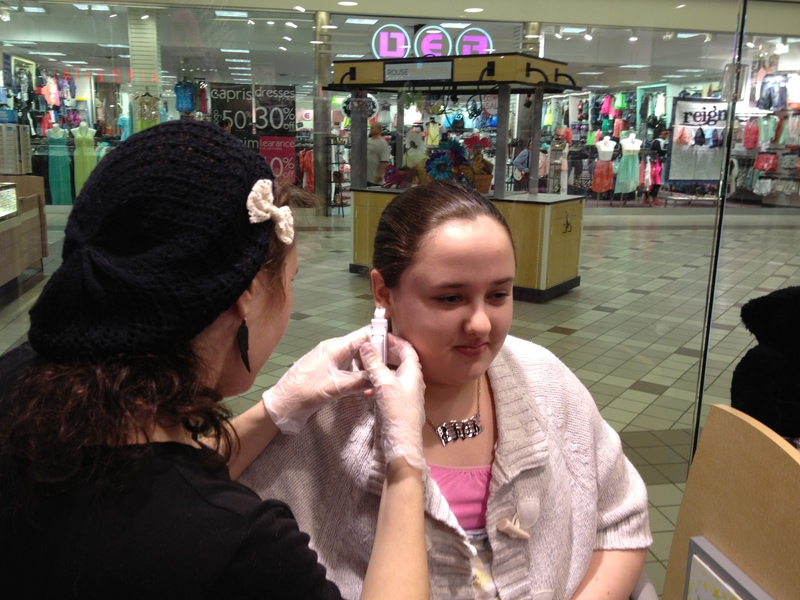 Victoria gets her ears double pierced!! Goodbye clip on earrings…hello double pierced ears. Goodbye to the playdates in which we went to the park and the Moms had as much fun as the kids. Now her playdates are at “Partridge Creek Mall” and she is questioning if I really need to come with her. 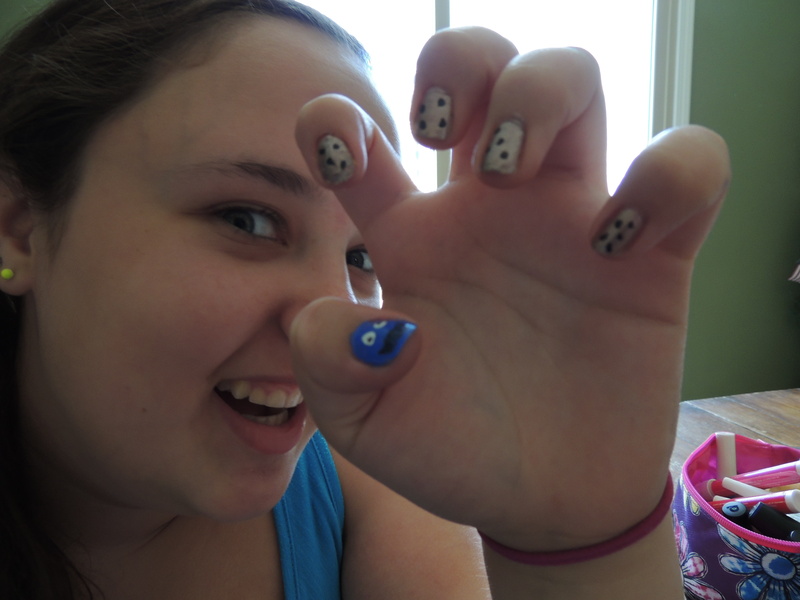 AND she never lets me forget that she is eligible for drivers training in just 1 year and nine months. Where oh where has the time gone? Sigh. Anyway my 13 year old girl requested a rainbow theme for her party, including a 6 layer rainbow cake. No problem. 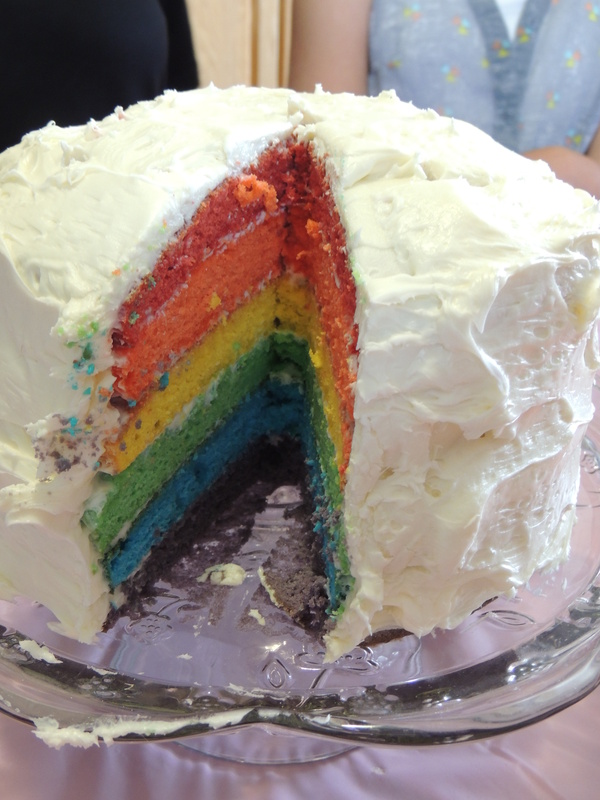 I already had an idea in mind as she toyed with a rainbow cake for her 12th birthday last year. She also requested cake balls. 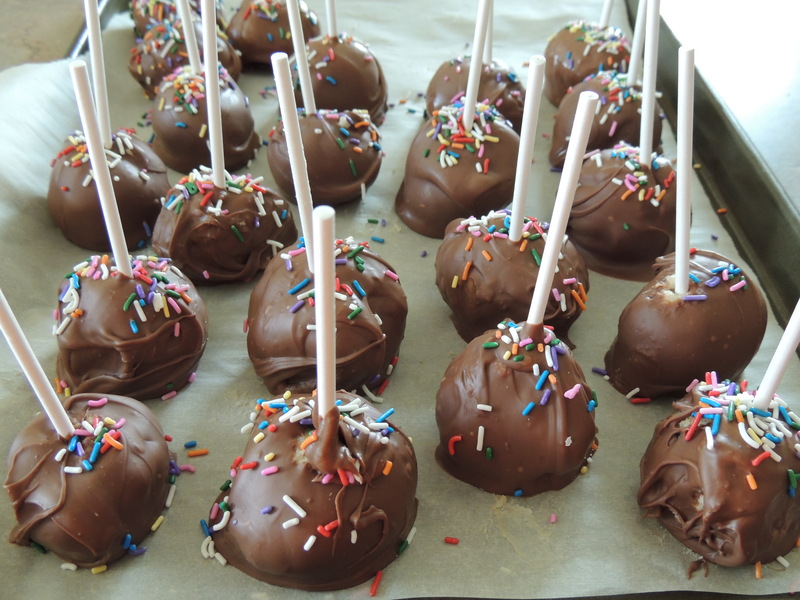 I love love love cake balls, but the only time I ever made them I had a hard time as the recipe I used misled me. To be exact it suggested I mix the frosting with the cake while the cake was cooling. NEVER DO THIS! 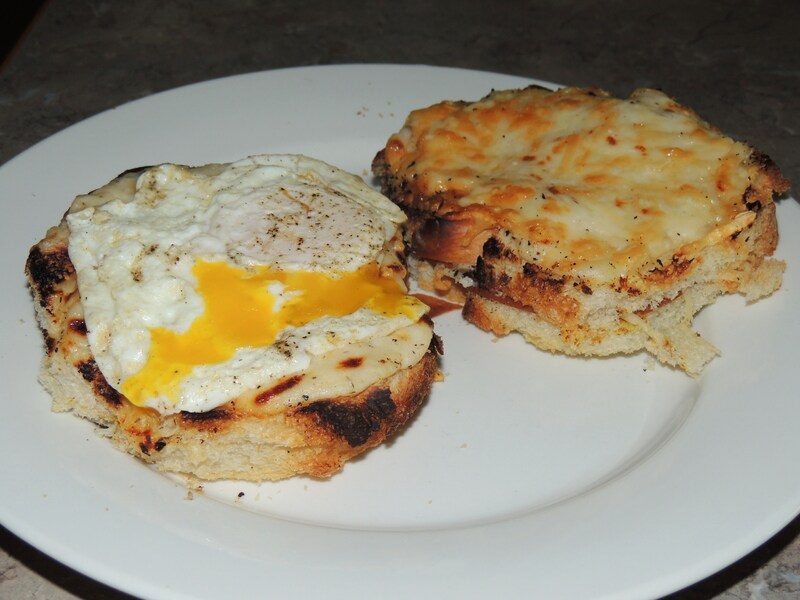 You get a delicious, but really gooey and unmanageable mess. What you need to do is wait until the cake is COMPLETELY COOLED, so the frosting doesn’t melt. This go round, I had a much easier time of it, and the cake balls came out great. 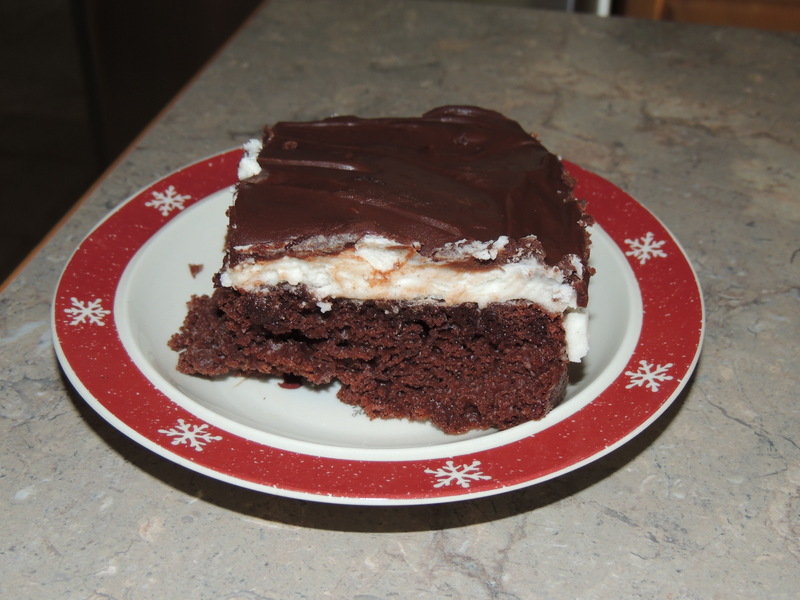 Here are the links to the recipes that I used: http://www.bettycrocker.com/recipes/rainbow-layer-cake/4969fed8-141e-45f5-9a04-e03addd20fbb and http://allrecipes.com/recipe/cake-balls/ Please please please follow these guidelines of making the cake balls… #1) Bake cake as directed. #2) Let the cake COOL! Don’t mix in the frosting while HOT! #3) I used a mixer to mix the cake and frosting. 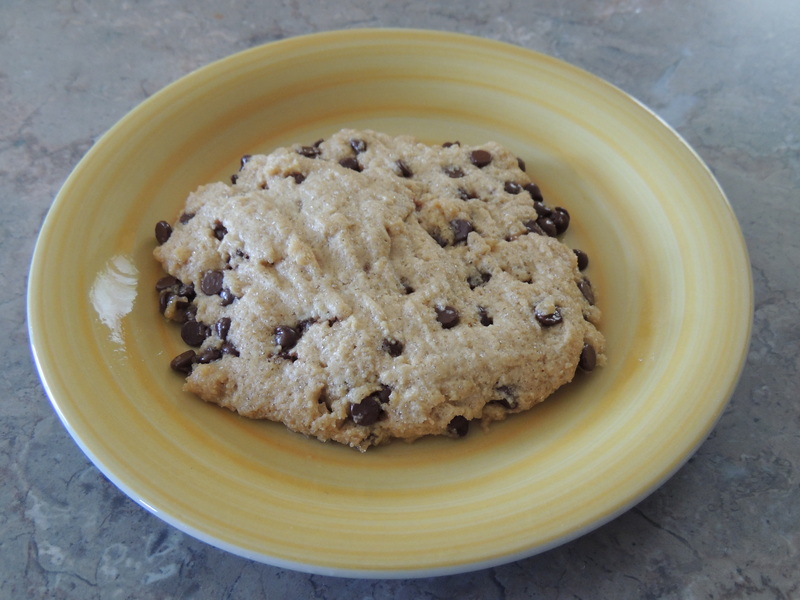 #4) Put this mixture in the refrigerator, covered, for at least 3 hours but I did it overnight and it was perfect. #5) Using your hands, roll the balls bite size and put on wax/parchment paper. #6) Place in the freezer for an hour. 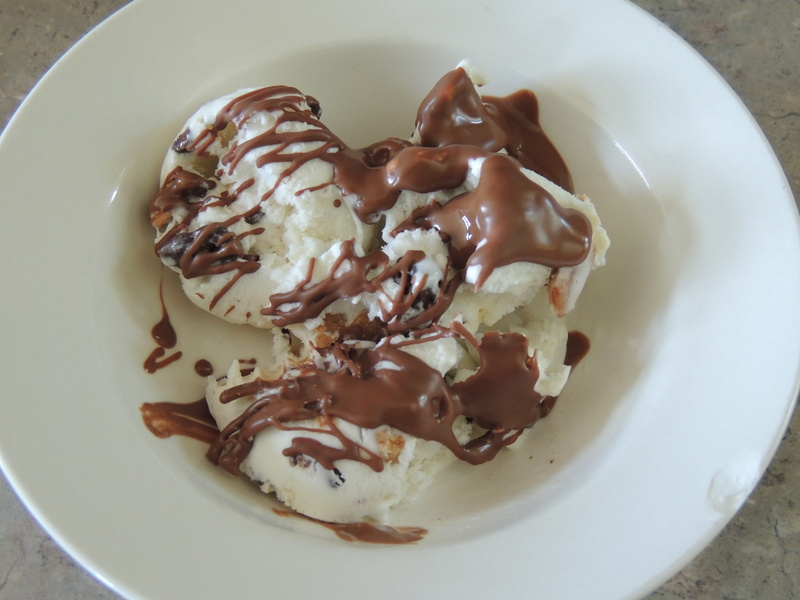 #7) Melt up whatever chocolate you prefer 8) Using a lollipop stick, pick up the balls and dip in the chocolate. NOTE: If your cake balls fall off the toothpick into the chocolate they are not frozen enough. 9) Place in refrigerator to set. 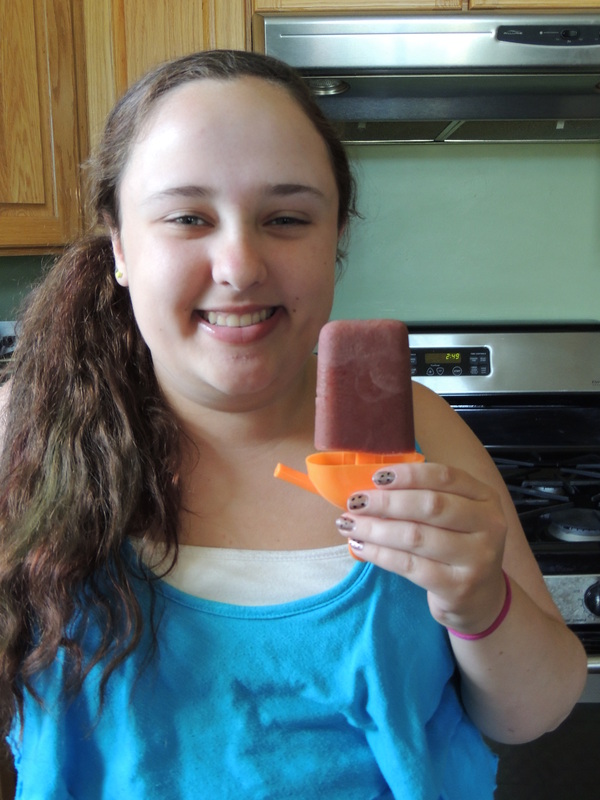 The next recipe I tried was for strawberry Nutella popsicles. Strawberries and Nutella??? Enough said…I’m in! Originally I was just going to make strawberry popsicles. I had a lot of strawberries left over from Victoria’s birthday party, and the guys won’t eat them. I decided to make strawberries popsicles as a fun treat. 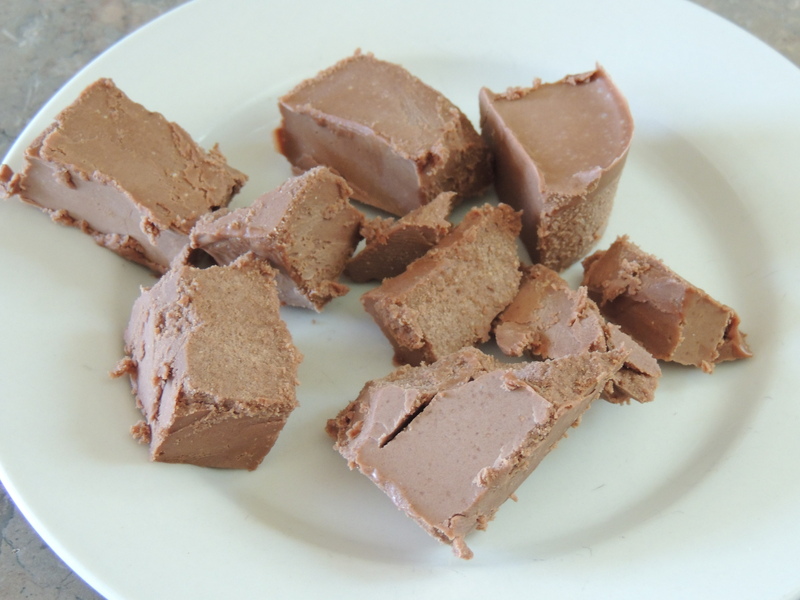 Whilst pureeing the strawberries, I got this great idea to add Nutella to the food processor. I made a few plain strawberry popsicles (as Dan doesn’t like Nutella…what a freak 🙂 ) and to the rest of the puree I added Nutella. These are the best popsicles I have ever made!!! Happily they are ridiculously simple to make too. Here is a link to a recipe http://chocolateandcarrots.com/2012/07/chocolate-covered-strawberry-popsicles I realize that this recipe also calls for “Magic Shell”, but I did not put it on my popsicles. That said, I did make homemade “Magic Shell” and it will be in the next blog ☺ After the strawberries and the water were pureed, I just added a few tablespoons of Nutella and pureed again. YUMMO!! 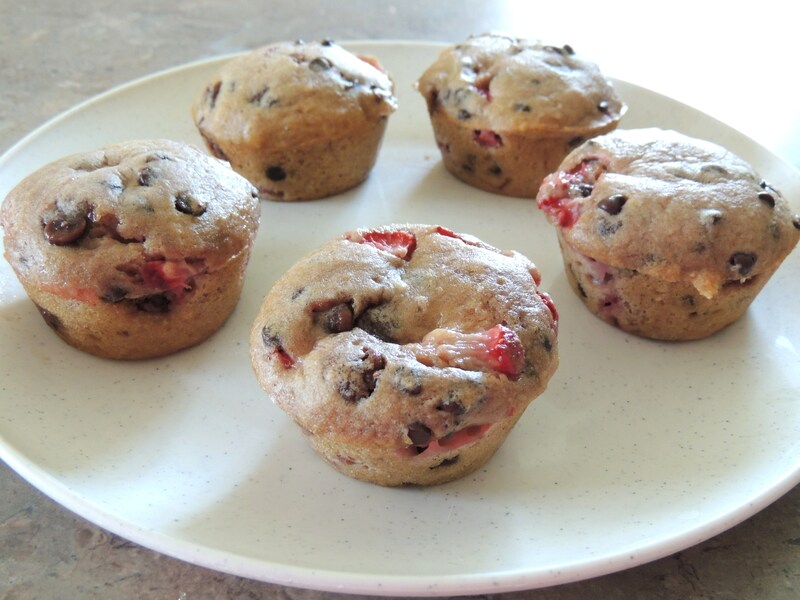 I’m totally going to make these again soon, but next time I am trying raspberries and pineapple. For the record, the only popsicles left in the freezer are the plain strawberry ones…HMMMMM. Ryan, Ian, Victoria, and Yvonne in the pool! Happy Memorial Day Weekend everyone! It has been a crazy couple of weeks in our house. All of you parents can certainly relate to the “end of the school year” craziness that has invaded our home over the last few weeks. Field trips, Super Kids Day, Victoria’s spring orchestra concert, soccer games and practices, orthodontist and allergist appointments, etc. etc. etc… Well amidst all the chaos, I did find a little bit of time to experiment in the kitchen. Let me start by saying that I have utilized a lot of tried and true recipes the last few weeks. 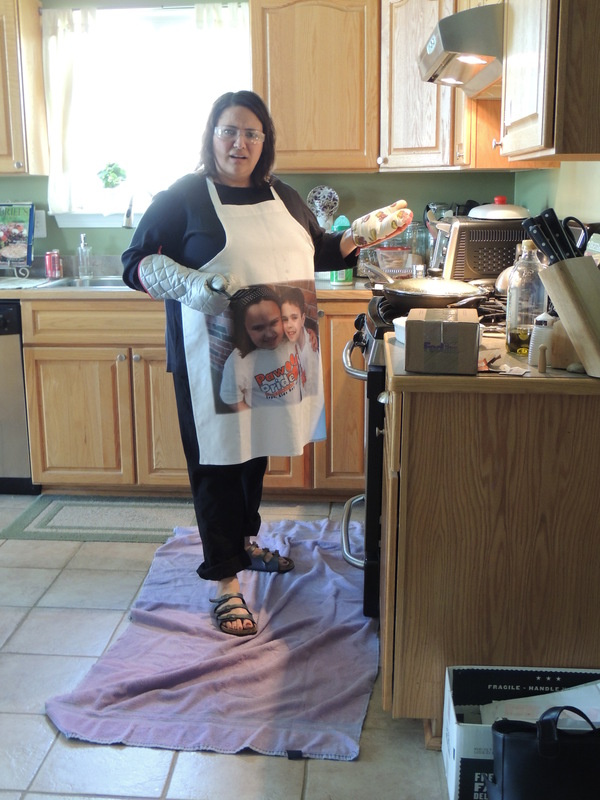 When I am short on time, I usually reach for the recipes that I know will work, and that my family loves. So in the last few weeks, in addition to the yummy recipes I experimented with, I have also made pasta with arribiata sauce, veggie meatballs, broccoli Palermo, panini, veggie burritos/nachos, hummus, and for dessert chocolate emergency cookies and “my Aunt Toni’s cookies.” The first recipe I experimented with was for stir fry pasta. 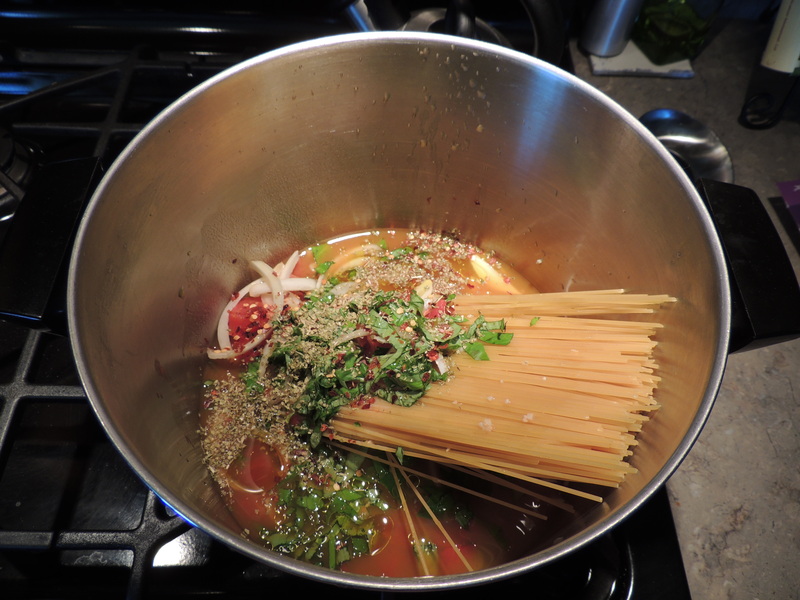 We had a ton of pasta left over from Ryan’s birthday party, and I wanted to try a new recipe. 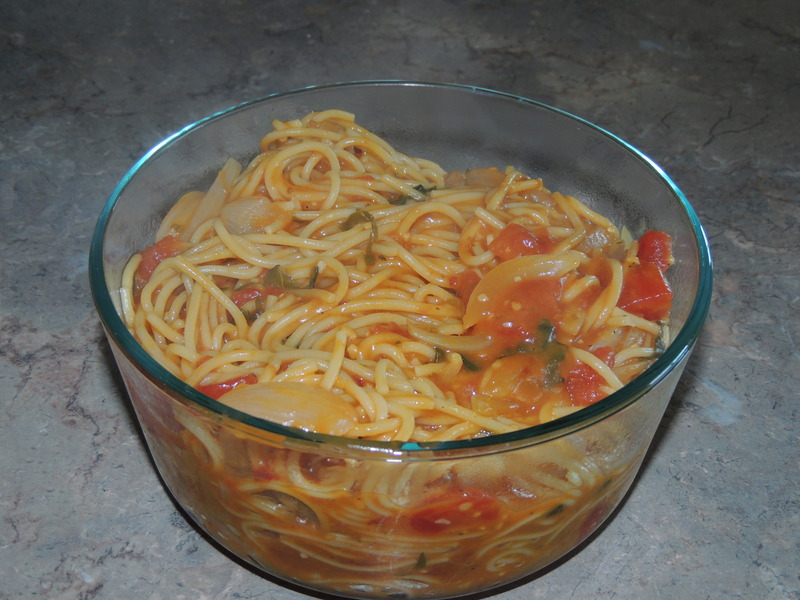 I also had a ton of fresh veggies that I wanted to use, so this recipe was a perfect fit. Honestly, I have never made stir fry before. 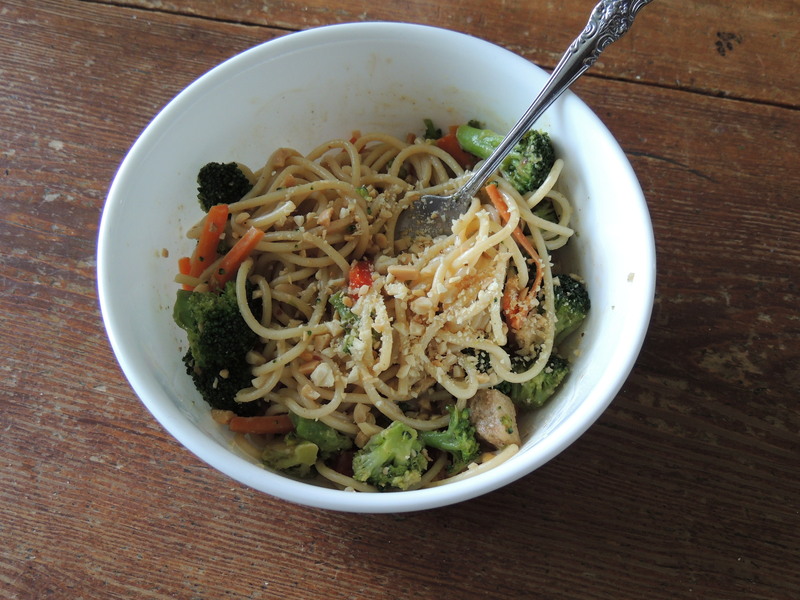 If we eat stir fry at home, Dan usually makes his vegetarian version of pad thai. I have made veggie egg rolls, veggie wontons, and veggie fried rice but not stir fry, so I was excited to give it a go. The recipe I decided on did contain chicken, but I just used Quorn Chik’n Tenders (a vegetarian chicken alternative) as a substitute. I also substituted red bell peppers for the cauliflower as my family doesn’t like cauliflower. Lastly, I made a peanut sauce to add to the stir fry, and added some chopped peanuts to the dish as well. The resulting dish was DELICIOUS!! I will gladly make this dish again. Here are the links to the recipes that I used: http://allrecipes.com/recipe/stir-fried-pasta-with-veggies/ and http://chinesefood.about.com/od/saucesdipping/r/peanut-sauce.htm I think the very best part about this dish, was that we got to eat dinner that night on the deck! Love love love nice weather!! 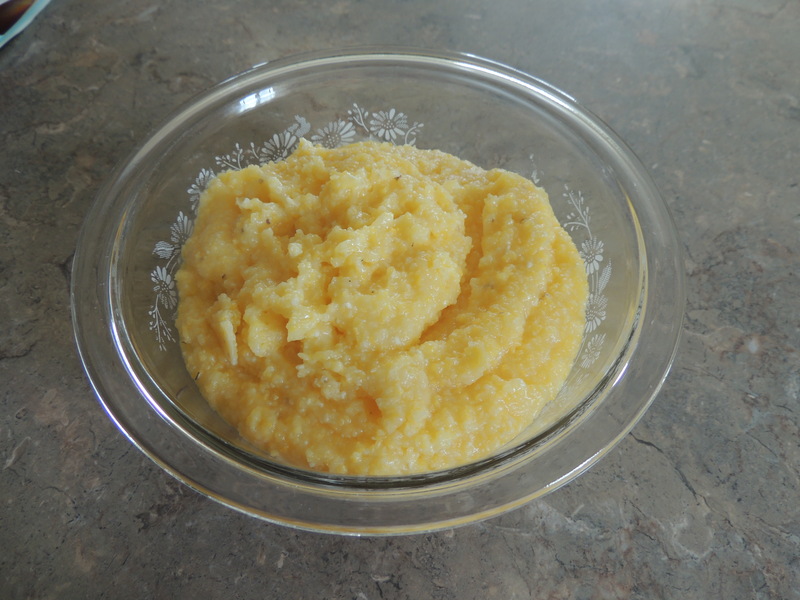 The last three recipes I experimented with were made with polenta. I must admit that growing up, my family didn’t routinely make polenta, so I didn’t have a lot of experience with eating it or with cooking it. I have come across a lot of recipes in the last few weeks that include polenta, so I decided to make it. 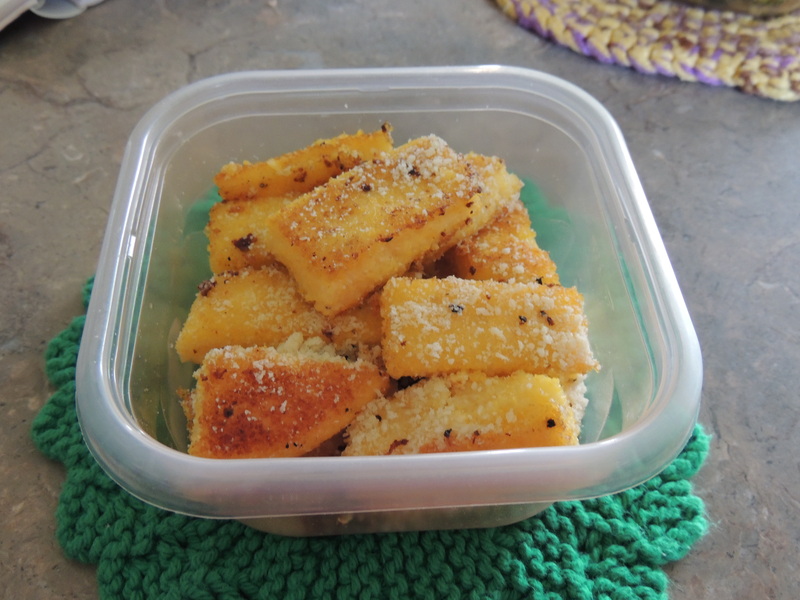 I used the recipe for basic polenta by Giada de Laurentiis. 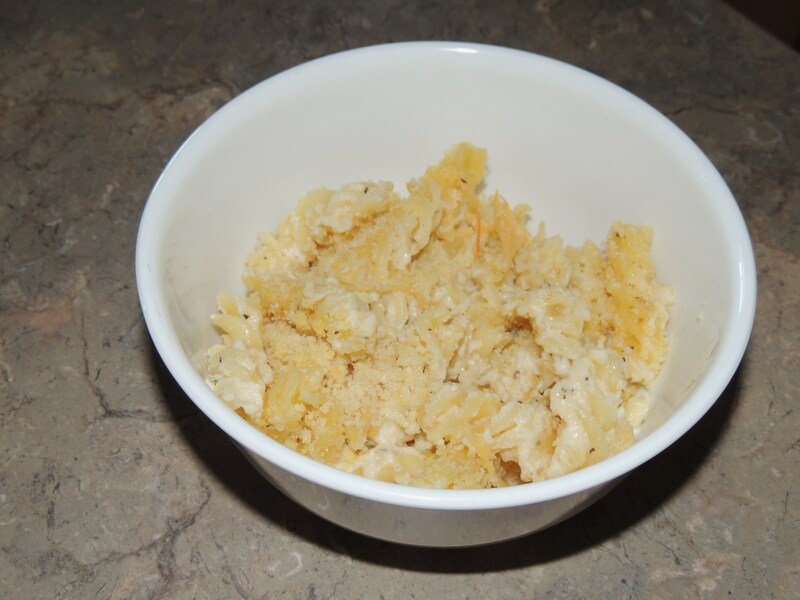 It was simple enough, but I must admit it was rather bland…and too salty for my taste. As a side note, I had a premonition that when I added 2 teaspoons of salt to the bubbling cornmeal on the stove that it would be too much. BUT since I am a compulsive rule follower (especially the first time I make a new recipe), I did as Giada instructed, and added the salt. Well it wasn’t good. I know that most people eat it with some sort of sauce, soup, or stew, but Giada also writes that plain polenta is to Italians, what mashed potatoes are to Americans. Well as an American (of Italian heritage), I beg to differ. I love love love me a bowl of mashed potatoes, but that plain polenta was not good. I tried…and I mean I really tried… to like it, but no dice. Now what?? Well, luckily half of the polenta was already spoken for as I needed 3 cups of freshly made polenta for the “fried polenta” recipe I was going to try. I had planned on just eating the rest of the polenta like Giada mentioned, with a little sauce on top. After tasting it though, I knew that if I didn’t like it, my family probably wouldn’t either, so I decided to use it in yet another recipe. I found the recipe for “cheesy polenta” in a cookbook I have titled “Better Homes and Gardens Biggest Book of Italian Recipes.” I obviously already had the polenta, and I always have cheese and basil, so I decided to give it a go. The result? One word. YUM. 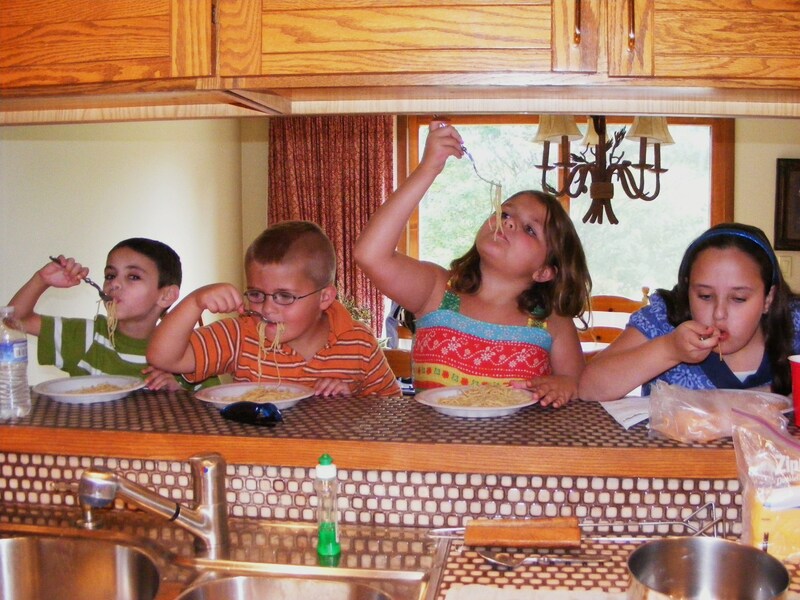 My family (minus Ryan of course) really loved the cheese polenta, and I will definitely make it again. 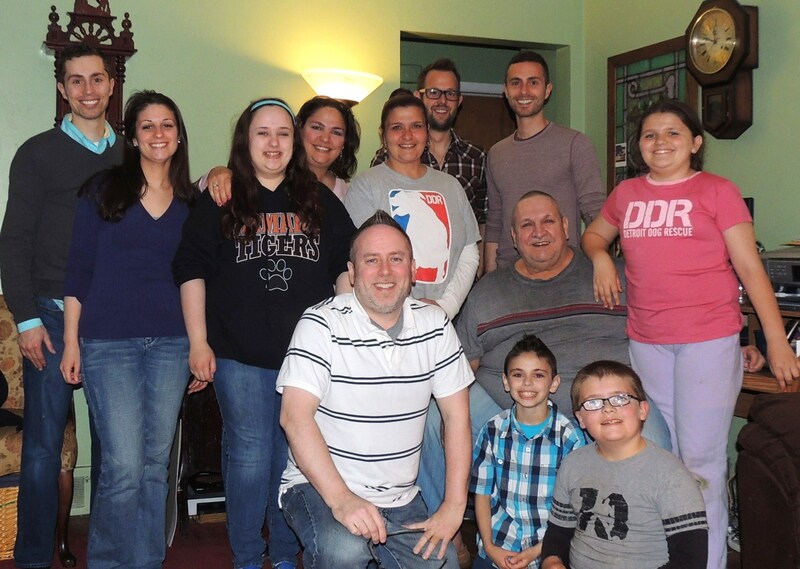 My family (again minus Ryan) also really loved the fried polenta, but I WILL NOT make that again anytime soon…OR EVER! My sister Amy and me enjoying a CPK cocktail!! 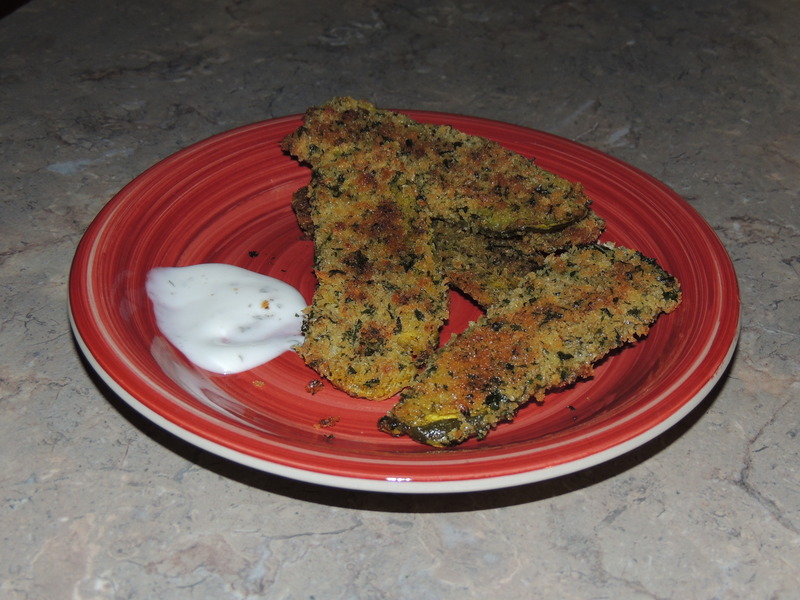 The next restaurant appetizer recipe that I attempted was for fried pickles. When Dan and I were in high school, there was a little restaurant in the food court of Eastland Mall called “Wallaby’s.” It was an Australian themed restaurant, and they served these yummy deep fried pickles called “boomerangs.” Dan and I loved them. Well that little restaurant didn’t last long unfortunately, and Dan and I always talked about how much we missed those boomerangs. Flash forward about 20 years, and “Cheeseburger in Paradise” enters the picture. Dan and I saw our first “Cheeseburger in Paradise” restaurant whilst in Maui on our honeymoon. Happily, there is a now a “Cheeseburger in Paradise” on Hall Road. We have been there lots of times with family and friends. It is one of my favorite places to go when we eat out, because I love the atmosphere, all the Jimmy Buffett music, and of course the food. My favorite things to order off their menu are the “CPK cocktail,” “frickles,” and the chocolate nachos for dessert. YUM!!! The cocktail is so delicious, and its sweetness contrasts perfectly with the salty goodness of the deep fried pickles. Then, for a perfect finisher, we order the chocolate nachos for dessert! I do usually order an entree (veggie burger), full well knowing that it will be breakfast or lunch the next day, as I will only take a few bites. 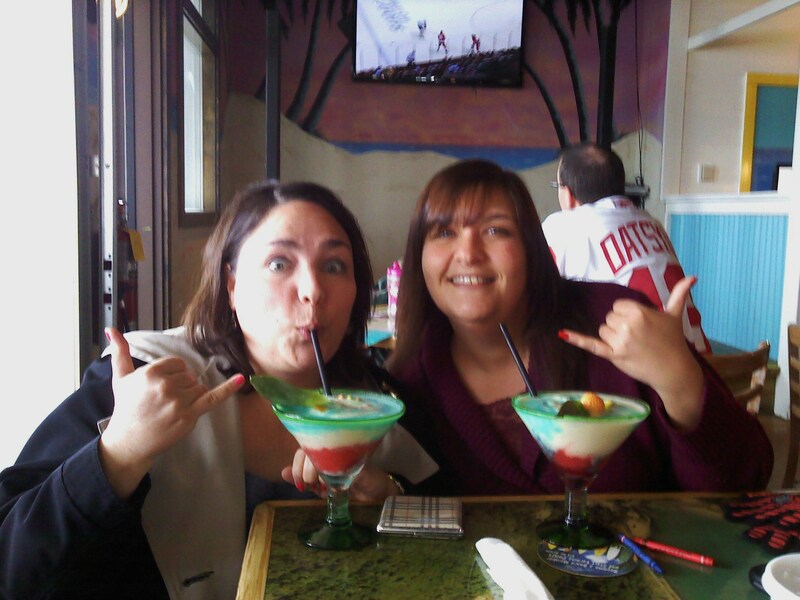 I introduced my Dad and sister to Cheeseburger in Paradise” as well, and they love it too. After making the mozzarella sticks, I had the thought of using the same batter but with pickles, in the attempt to recreate the “frickles” that I love so much. Well it totally worked! 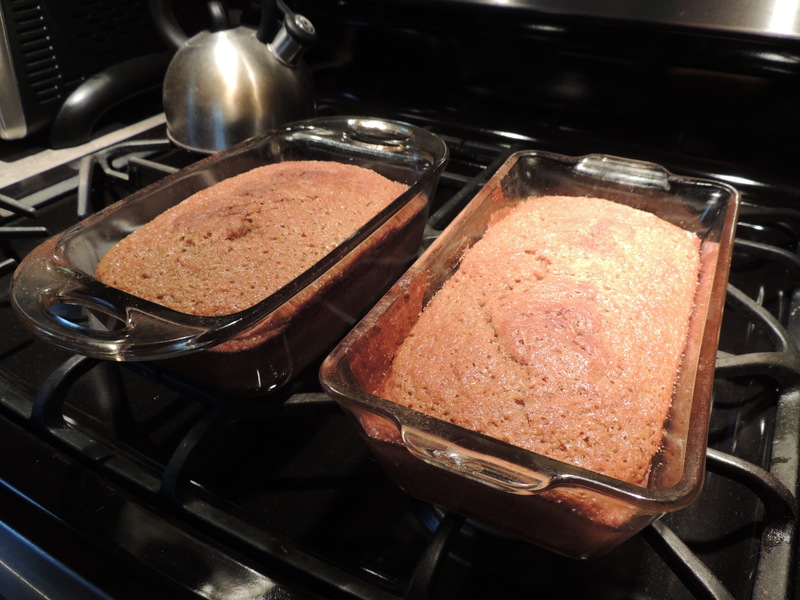 I am so in love with this recipe that I made it twice in one week. Again, Ryan wouldn’t try it, but Dan, Victoria, and I LOVED it!!! I am so happy that I can recreate this recipe at home. It is a ton healthier than if I ordered it at a restaurant, but it is still an indulgence. I love love love pickles, but worry about their salt content. So I do eat them, but I try to limit how often I enjoy their salty goodness. 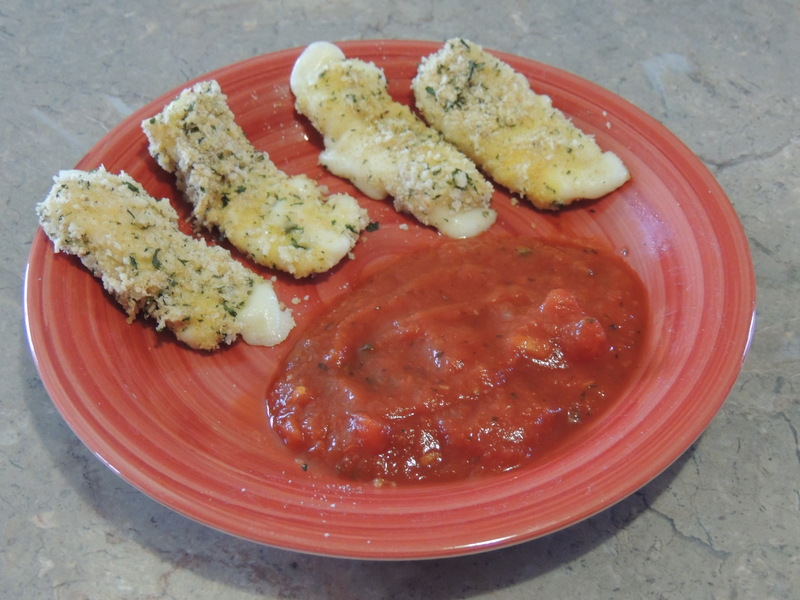 If you too want to try this recipe, just use the batter recipe in the above mentioned mozzarella stick recipe, but use pickles instead of the cheese sticks. I used two different types of pickles. 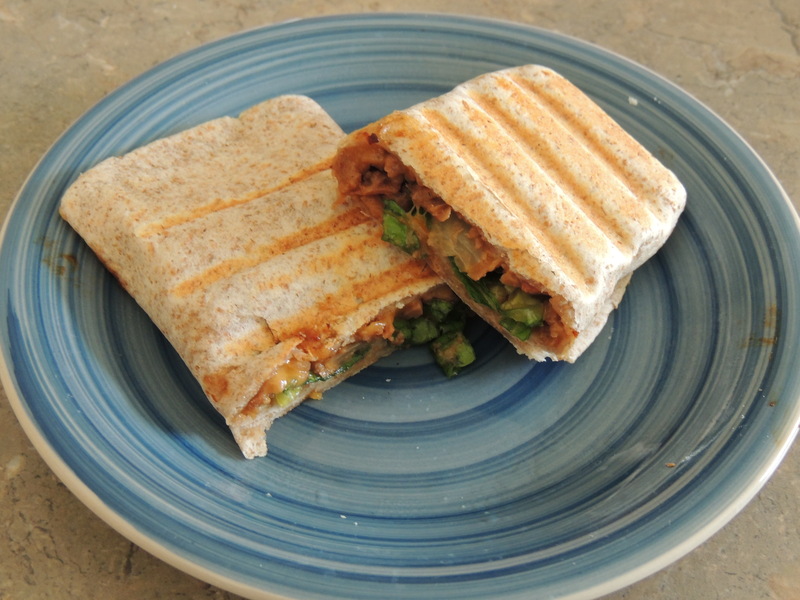 The first time I made them, I used pickle “stackers.” The second time, I used a combination of the stackers, and pickle chips. 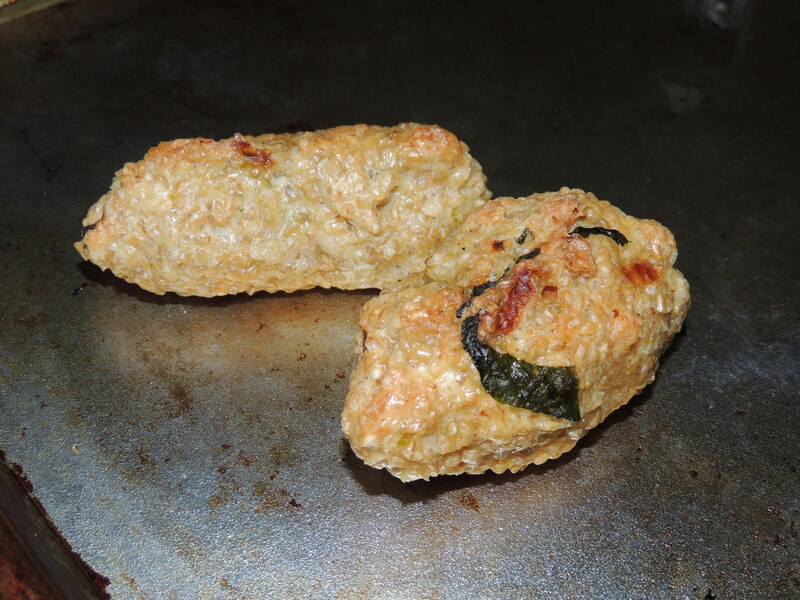 Both times I made them, my family devoured the breaded, baked pickles and wished there was more. 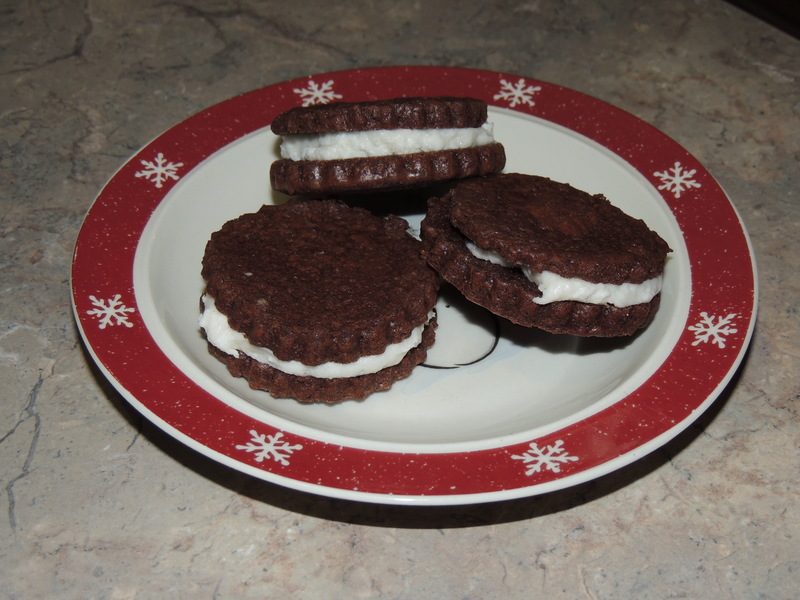 I will totally make these again! The last recipe was for snickerdoodles. These are my Ryan’s favorite cookies in the whole wide world. I have made them multiple times, but I haven’t featured them in this blog yet. 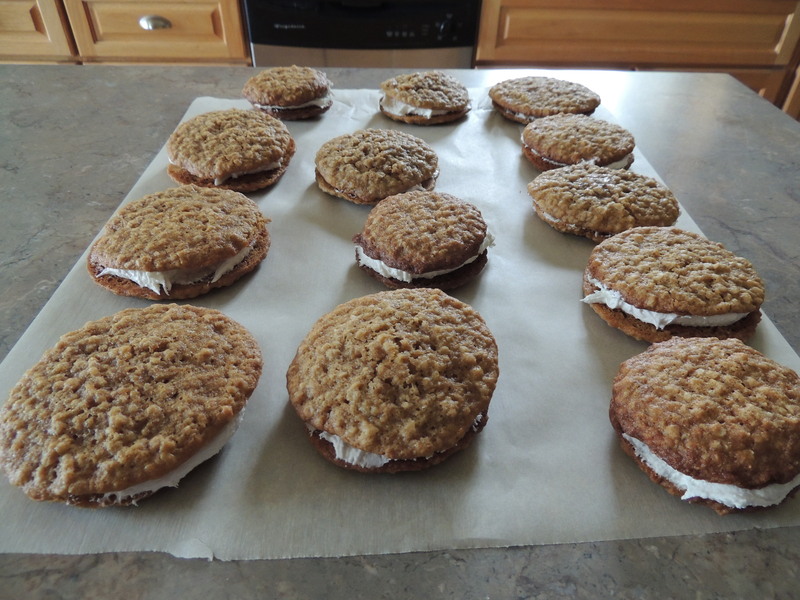 There were featured in my “Cookie of the Week” blog. If you are interested, you can check out that entry here: http://chris-cookieoftheweek.blogspot.com/2010/12/week-2-12-snickerdoodles.html Ryan’s birthday was on a Thursday this year. Since his party was on Saturday, and I was making both a cake and cupcakes, I was hesitant to make a third cake just 2 days before his party day. So in lieu of a cake, I decided to make his favorite sweet treat to celebrate his 10th birthday. When he came home from school, he was pretty excited to see his favorite cookie waiting for him. The look on his face as he ate his snickerdoodle was priceless. 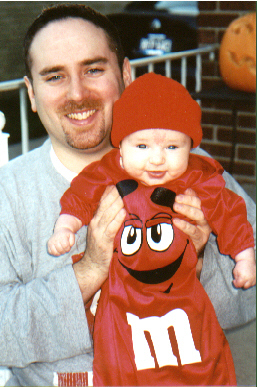 I cannot believe that my “baby” is 10…when in the heck did that happen anyway?? Ryan chose to have a “Teenage Mutant Ninja Turtle” themed party this year. I think his choosing that theme is hysterical. When Jim and Chris my “brothers from another mother” were little boys, they loved TMNT too. Ryan already reminds me a lot of them when they were little, so this is just another similarity. 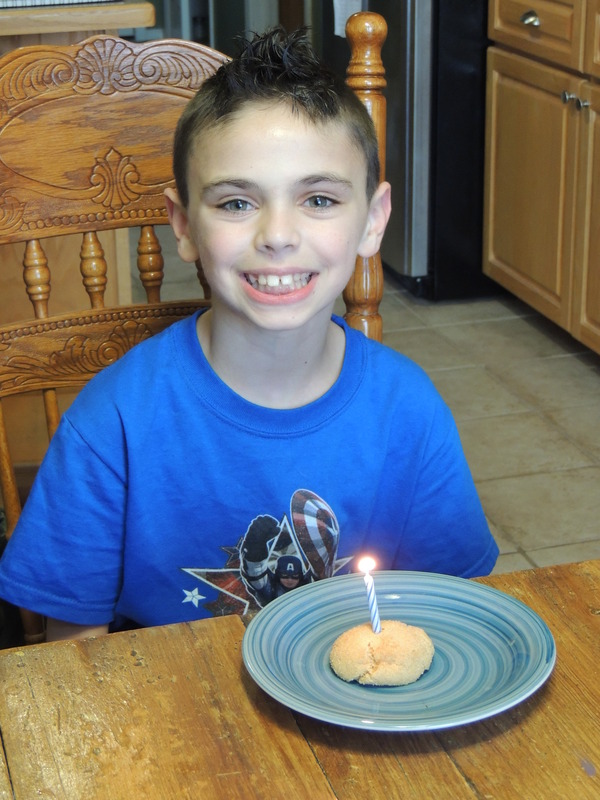 Ryan’s actual birthday was a school day, but when he came home from school we celebrated with Ryan’s favorite cookies. Then on his party day, we started the day with a soccer game. I am happy to report that not only did Ryan’s team win (GO RAPTORS!! ), Ryan scored his first goal of the spring season! 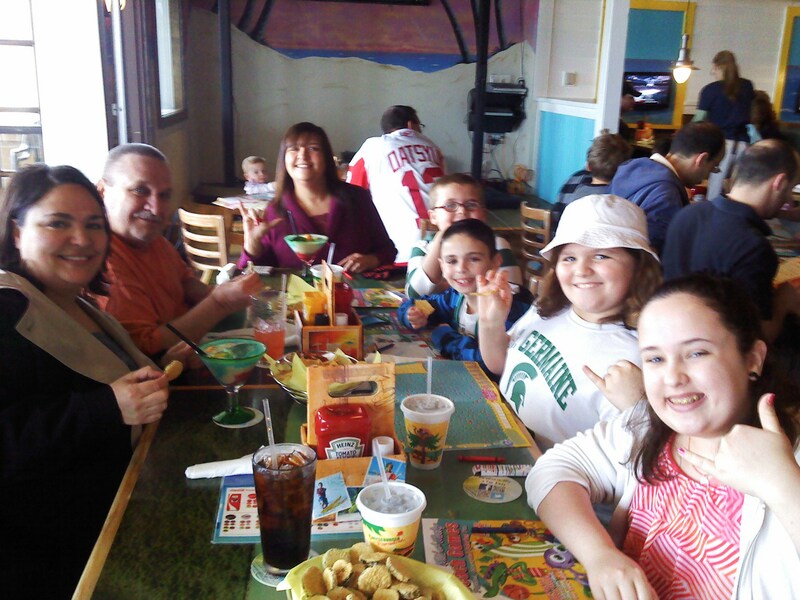 Then after the game, we had family and friends over to celebrate my 10 year old boy! Ryan was really pleased with his birthday, his party, his gifts, and especially his cookies. 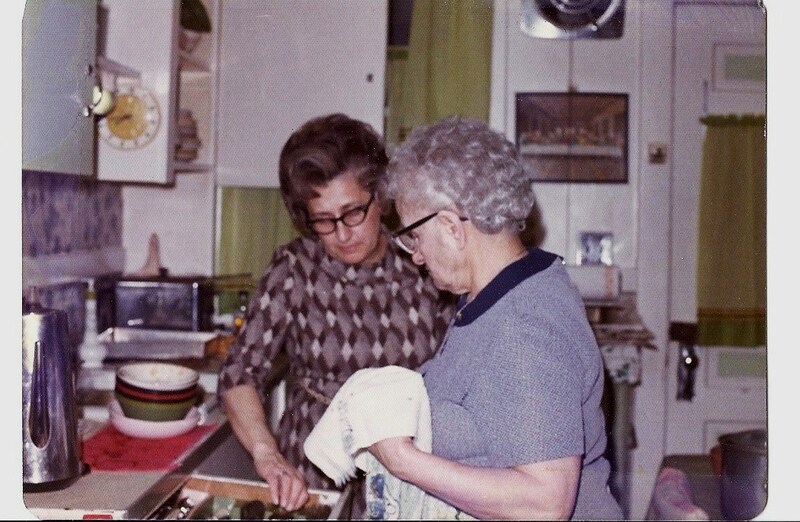 Sito Georgia and Sito Vicky cleaning up the kitchen on Ashland. The last three recipes were made in homage to my Italian heritage. The first recipe was for baked lemon ziti. I saw this recipe on an episode of “Giada at Home,” and knew immediately that I had to make it. I don’t make baked pasta dishes very often, so I was excited to try it. My Dad was coming over for dinner to pick up my niece and nephew after a sleep over, so I decided to try the recipe out. It was pretty simple to assemble and the resulting dish got rave reviews. My Dad, Victoria, Yvonne (my Niece), and Dan really liked it a lot. I, on the other hand, thought it was good, but I didn’t really enjoy the creamy lemony taste as it reminded me too much of a dessert. I like my meals to be savory. I don’t really care for sweet meals, which I guess explains why I don’t like sweet breakfast foods like pancakes or waffles for breakfast. I make the distinction “for breakfast,” because if I have already eaten a savory meal, I can and do like something sweet. Sweet on its’s own though… for a meal?? Not so much. Anyway, I liked the pasta, but prefer something a bit more hearty and savory for dinner. I would make it again though as Dan and Victoria really liked it. 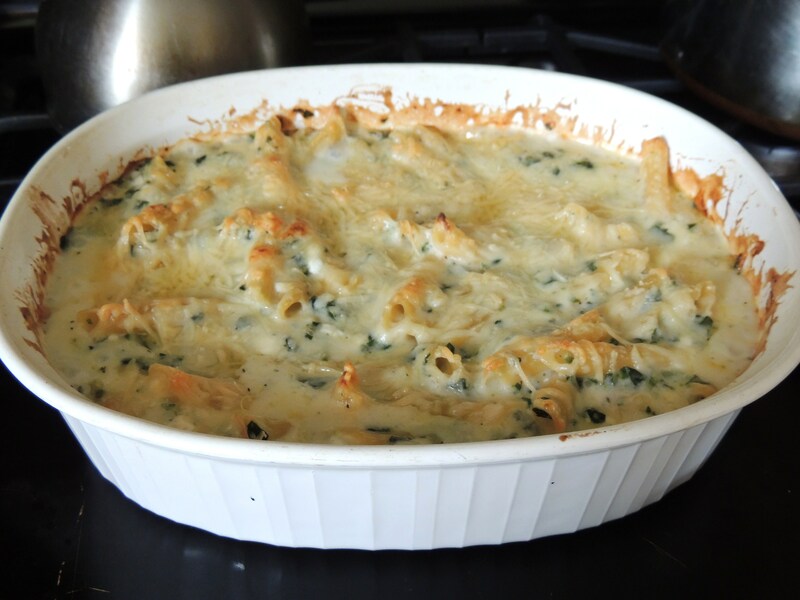 Here is a link to the recipe that I used: http://www.foodnetwork.com/recipes/giada-de-laurentiis/baked-lemon-ziti-recipe/index.html I did make one substitution to the recipe. I didn’t have any ziti, so I used rotini instead. My last recipe is for mozzarella fonduta. 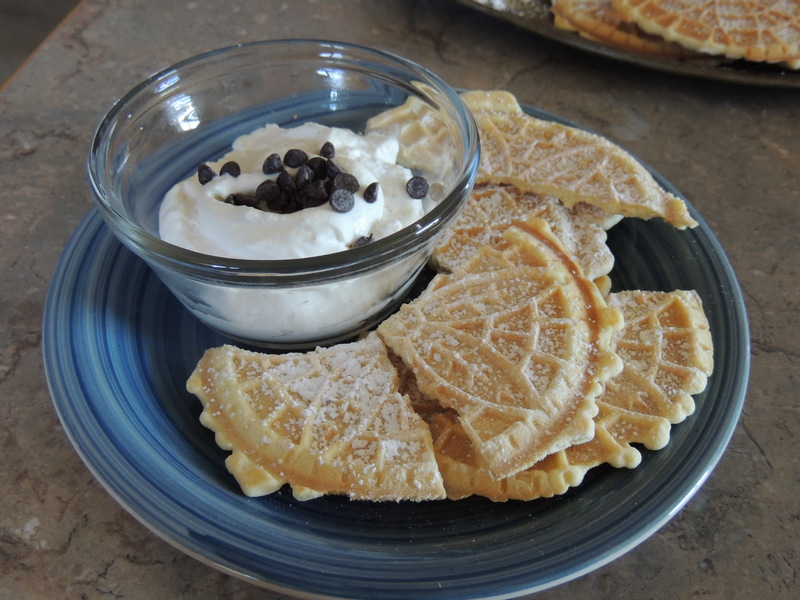 I saw this recipe on an episode of “Giada at Home,” and I was instantly transported back to my childhood. 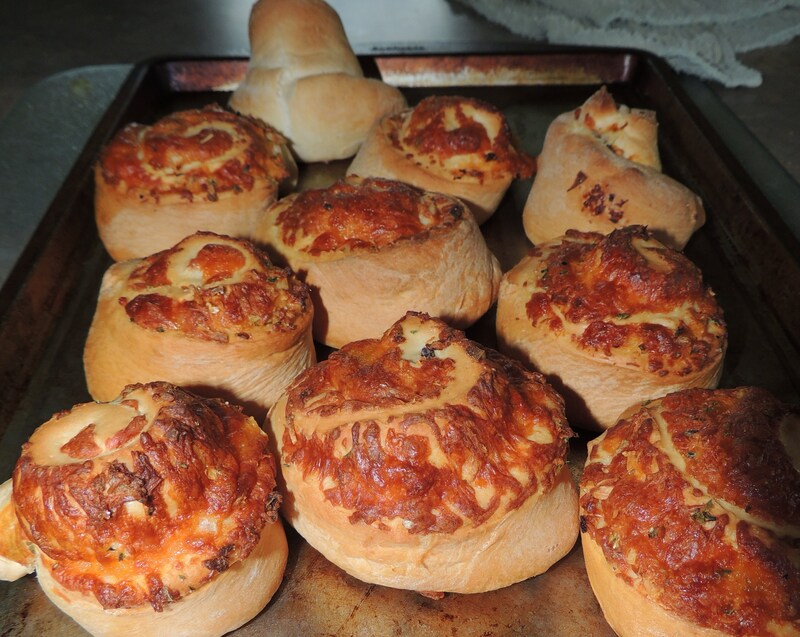 When I was a kid, my dad owned an Italian restaurant called the “Villanova.” I used to love to go see him at the restaurant, and when I’d visit he’d always make me “baked cheese.” He would layer sauce and cheese in a bowl, and then broil it in his pizza oven. 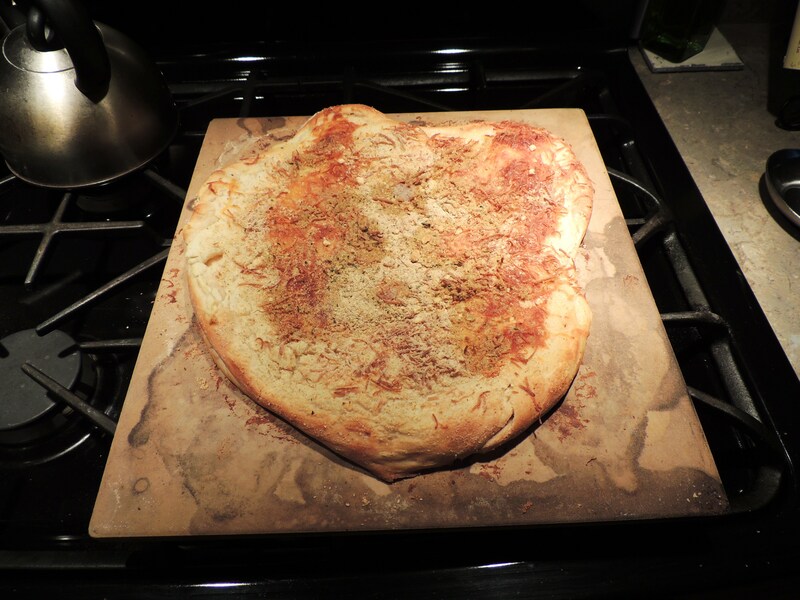 The result was a gooey, delicious, cheesy masterpiece. Just the other day, I asked my Dad how this recipe came to life, and he told me the story. He said that when we’d visit his restaurant, he’d always make me chicken parmesan or veal parmesan (I clearly wasn’t raised a vegetarian ☺). What he noticed was that I’d eat a few bites of the meat, but I’d always finish all of the sauce and cheese. So, one time he just omitted the meat from the dish all together. Well, I loved it, and a recipe was born. From then on, whenever I’d go to the restaurant, I’d request baked cheese. 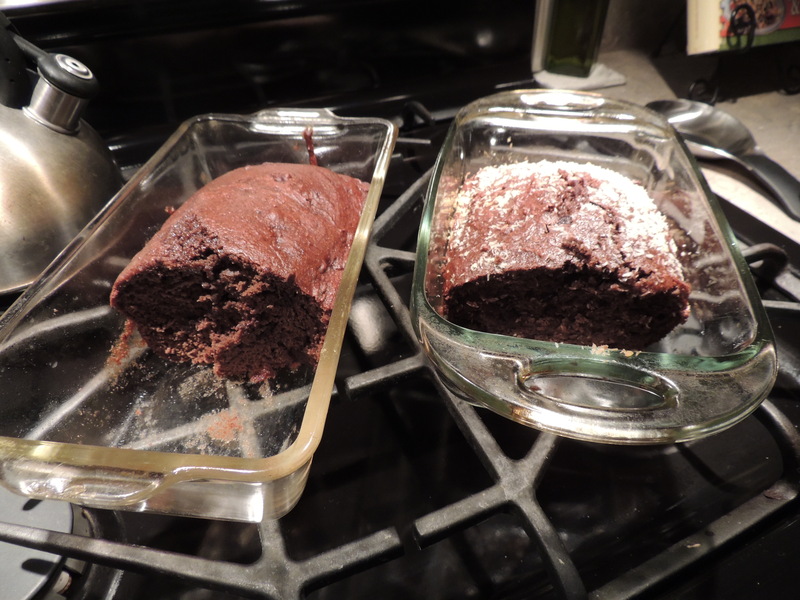 Inexplicably, I never attempted to replicate that dish… that is until now. All it took was me seeing a similar recipe on tv, and I knew I had to make it. I am happy to report that the mozzarella fonduta is delicious. I have made it three times so far, and it never disappoints. I talked with my Dad about it, and he said that when he made it for me all those years ago, he used a blend of 5 cheeses that they used on the pizzas at the restaurant. When I made it, I used fresh mozzarella and parmesan. It is delicious…total comfort food for me. Gladly, Dan and Victoria loved it too. 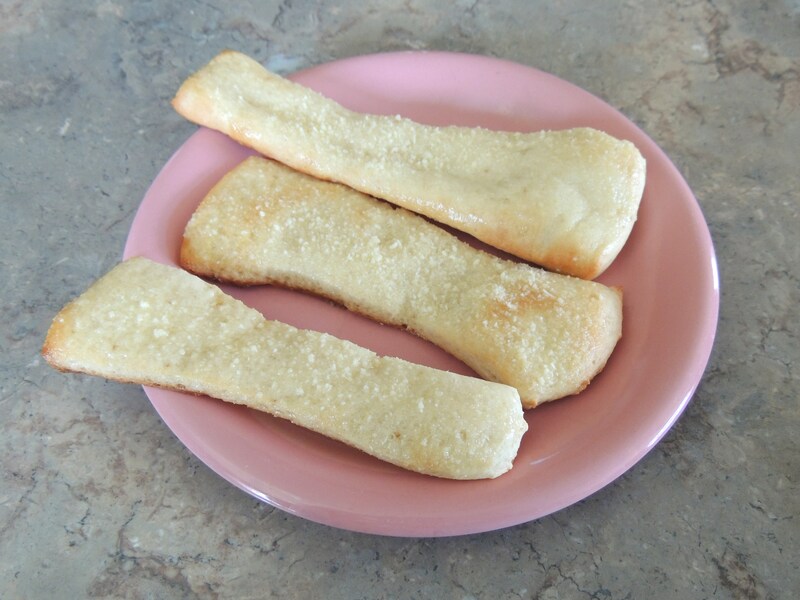 It is really easy to make, and the ingredients are inexpensive. This is another recipe that I am sure I will always keep in the rotation. Here is a link to Giada’s recipe: http://www.foodnetwork.com/recipes/giada-de-laurentiis/mozzarella-fonduta-recipe/index.html I did make a few substitutions. First, I did not use prosciutto as we are vegetarians. 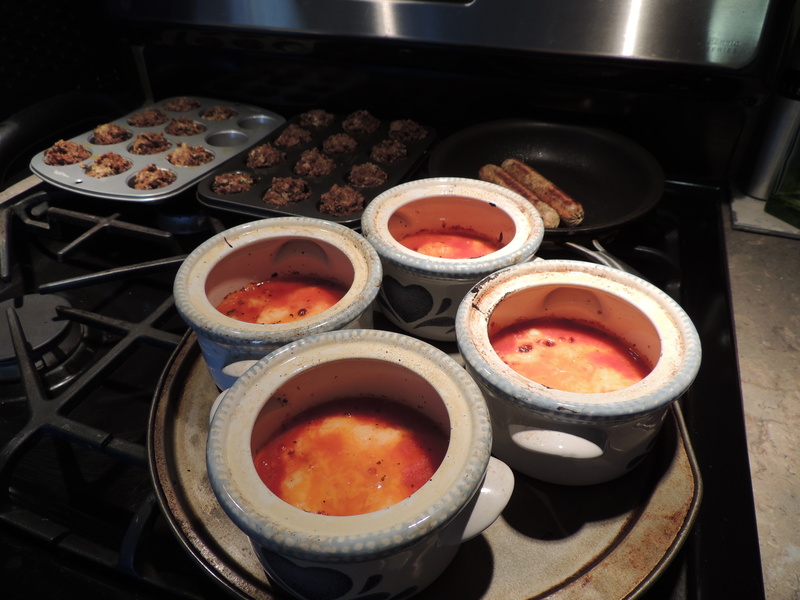 Instead, I made veggie meatballs to add some protein to the dish. Also, I didn’t use Gruyere, I used parmesan instead.